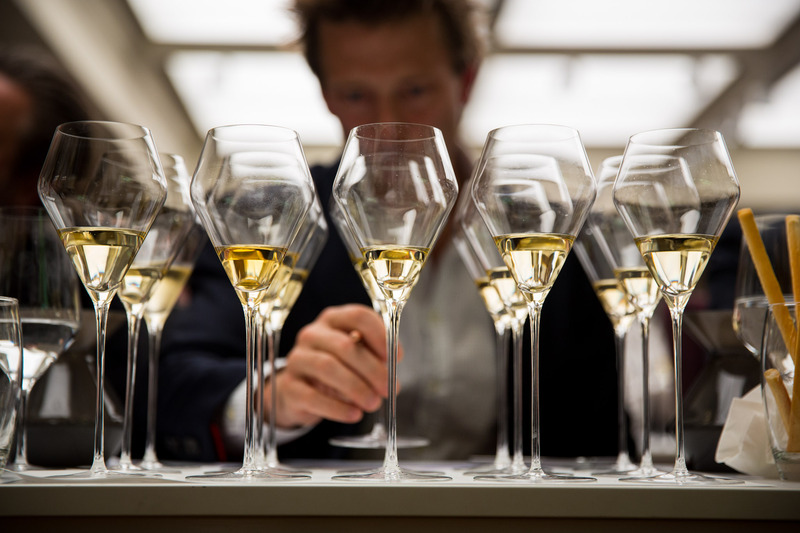 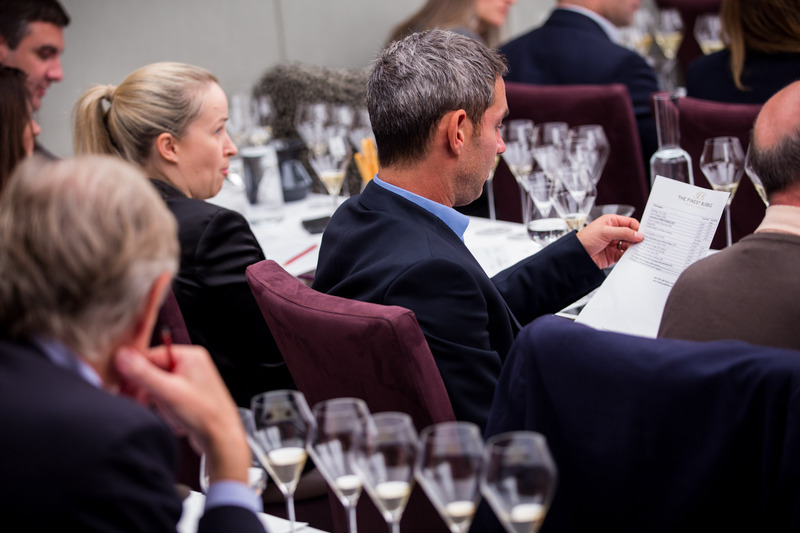 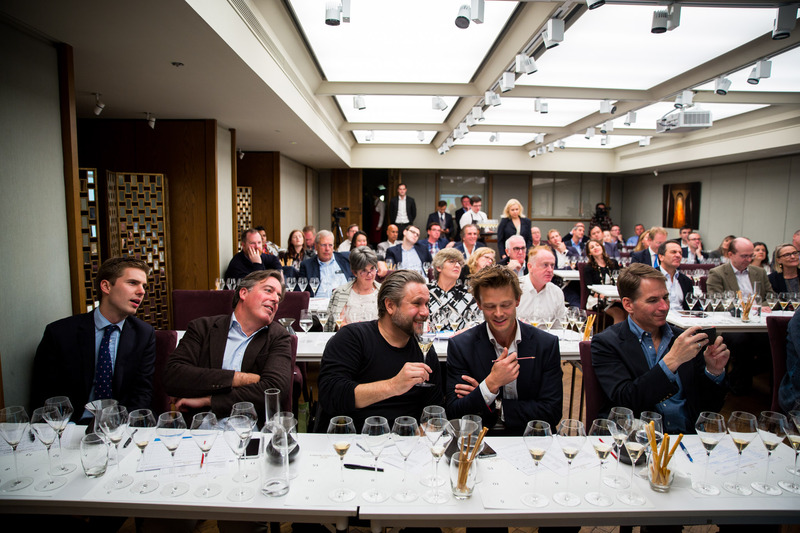 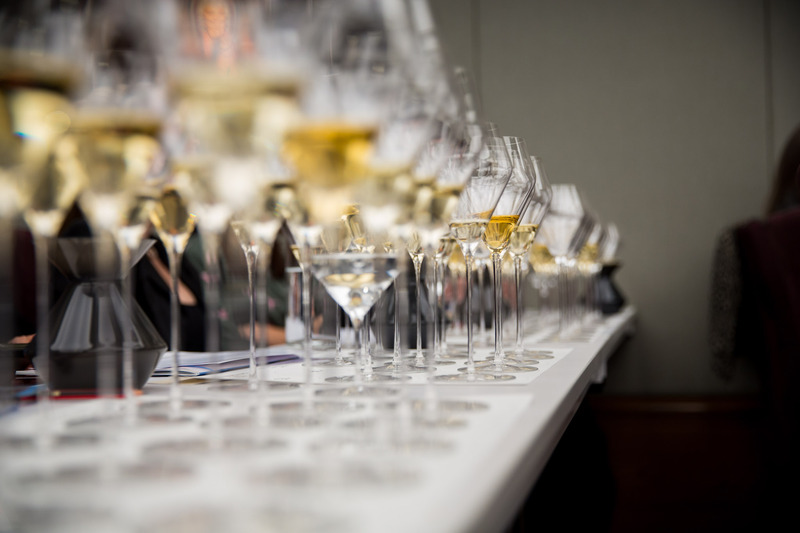 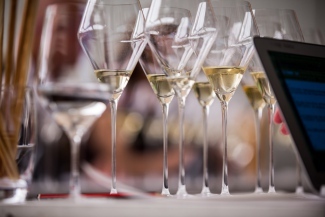 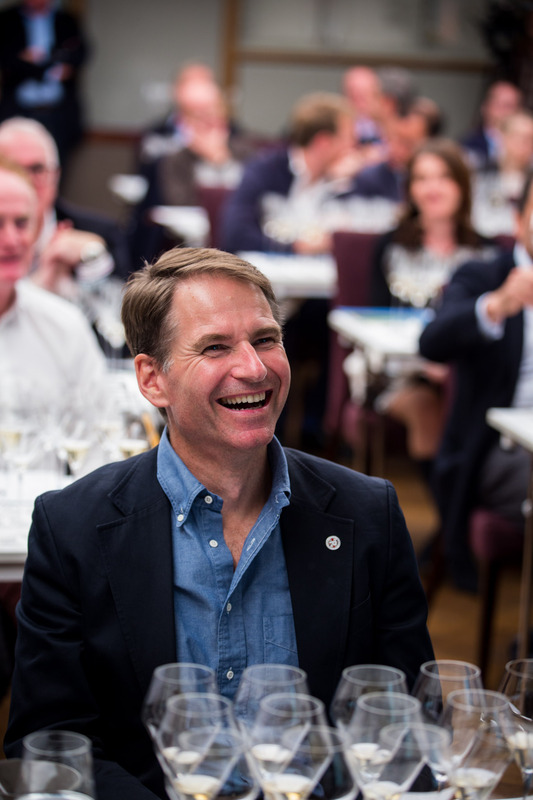 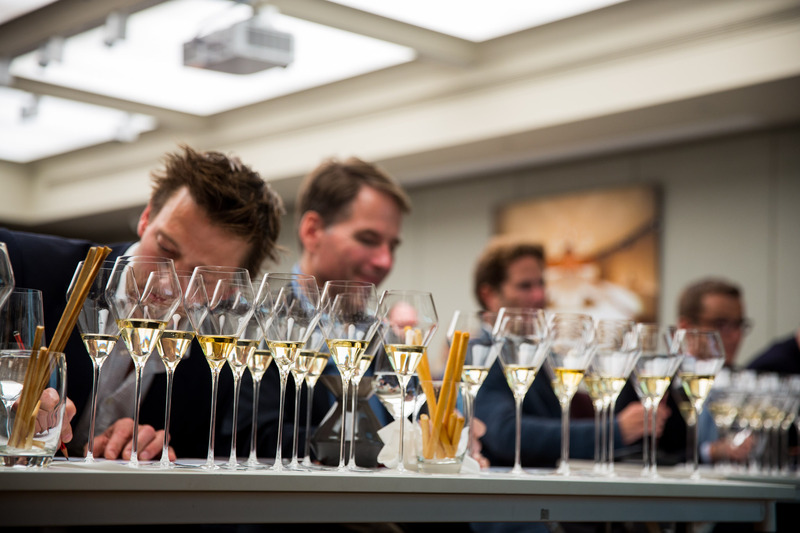 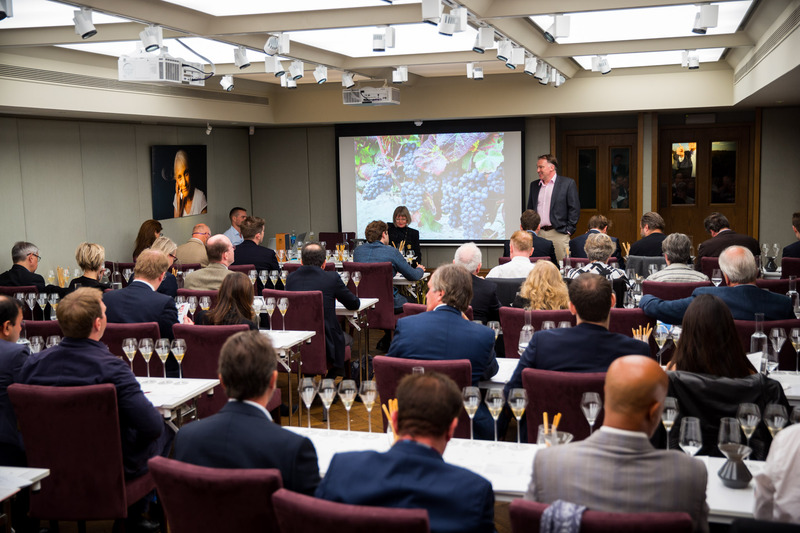 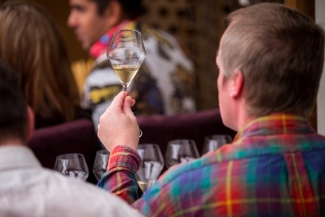 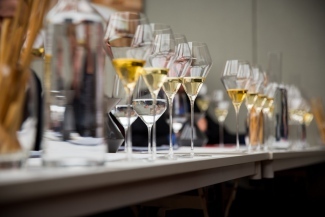 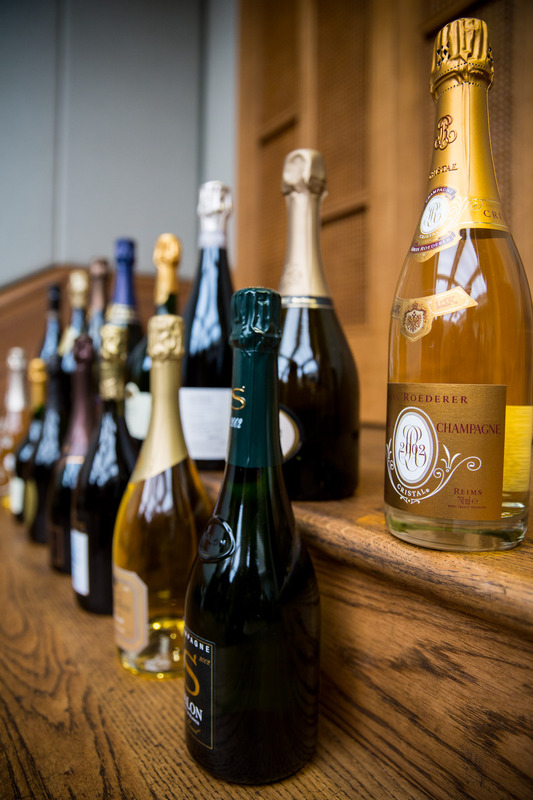 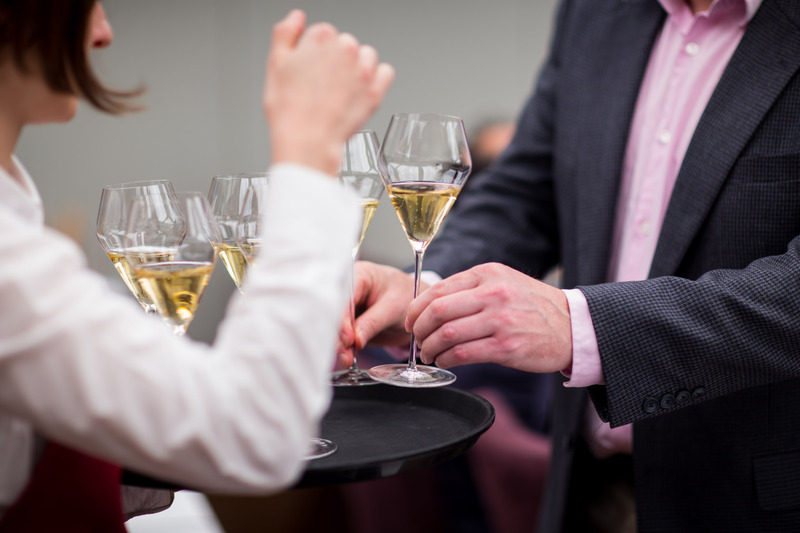 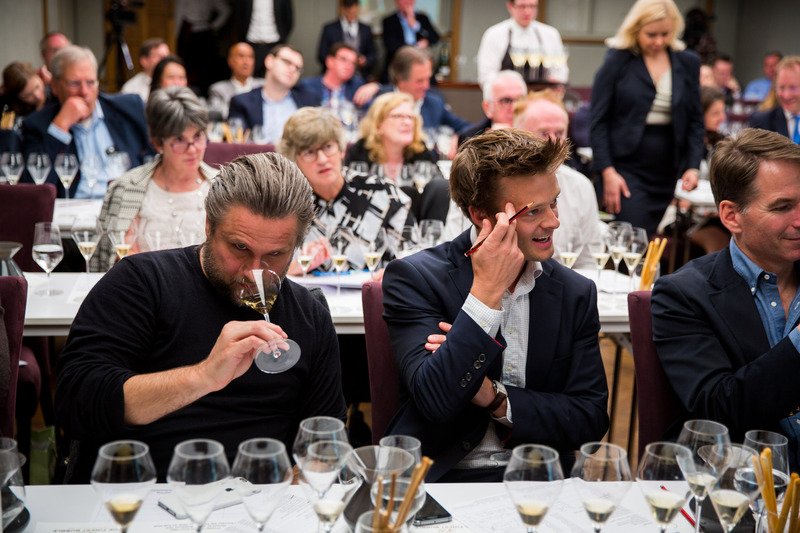 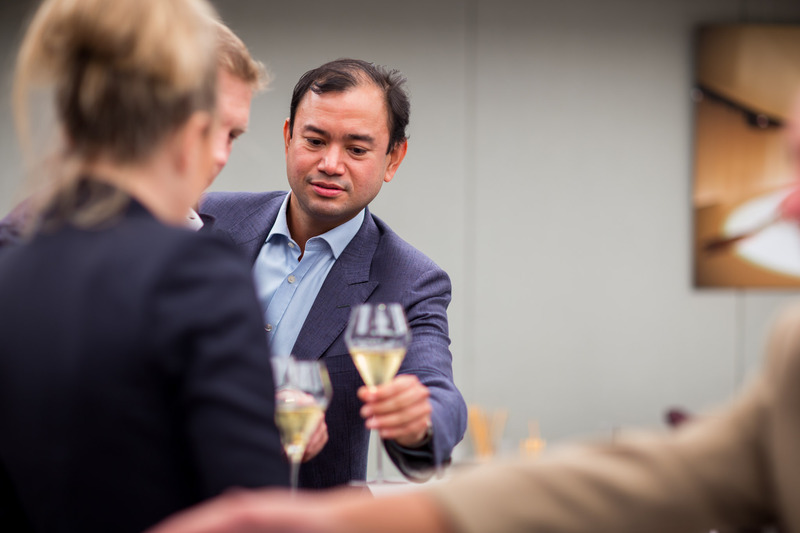 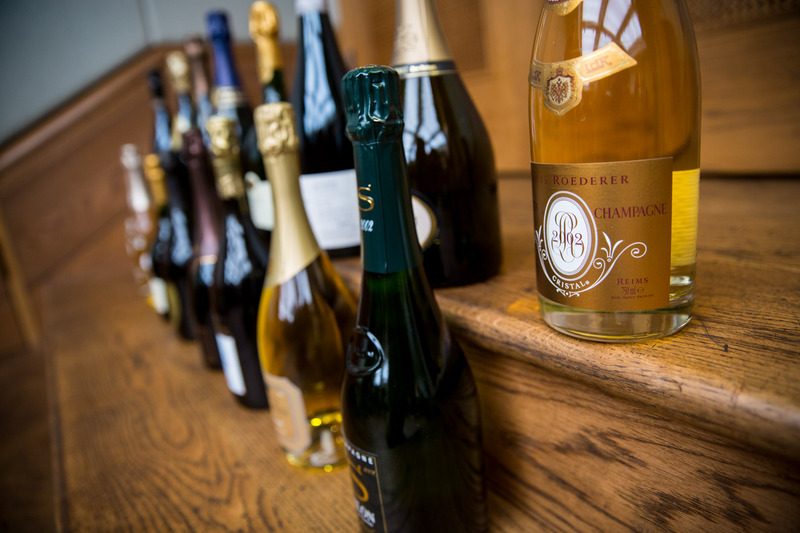 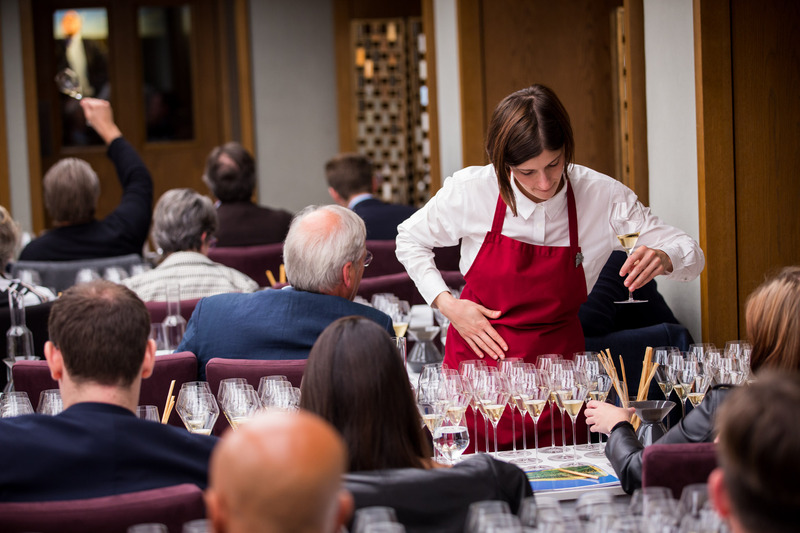 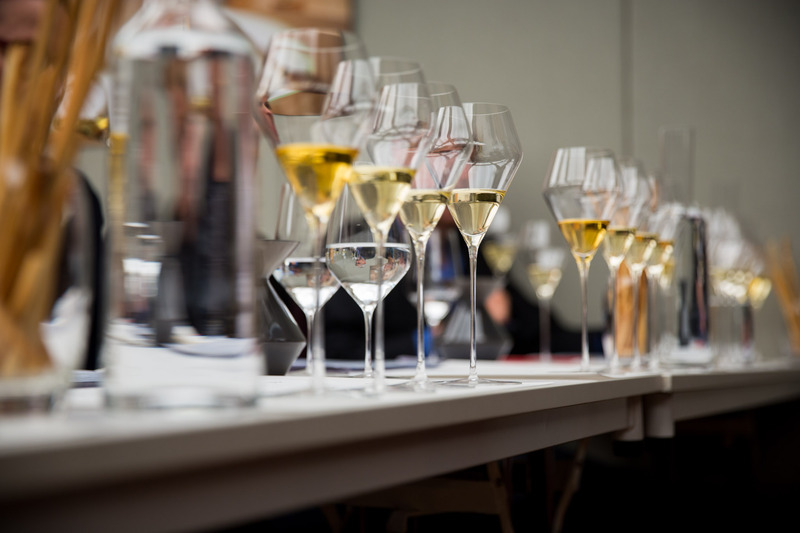 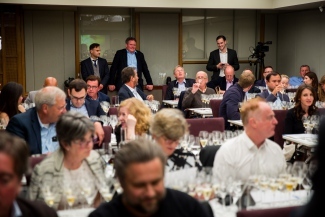 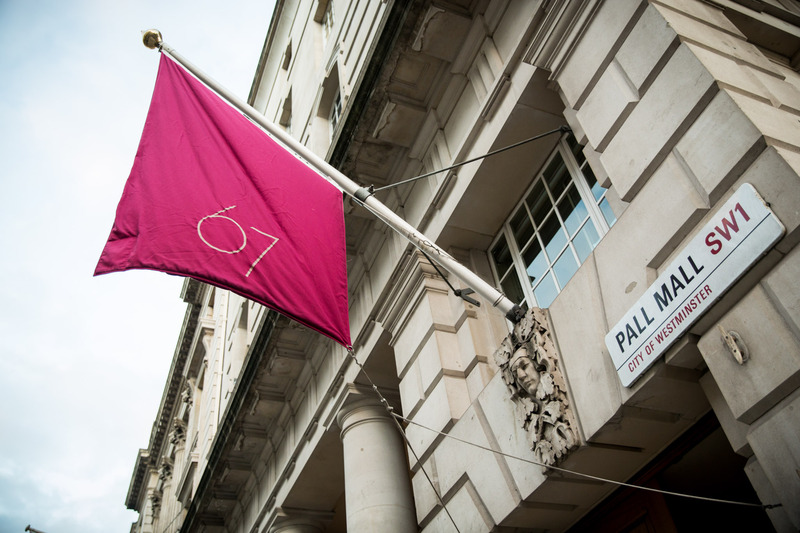 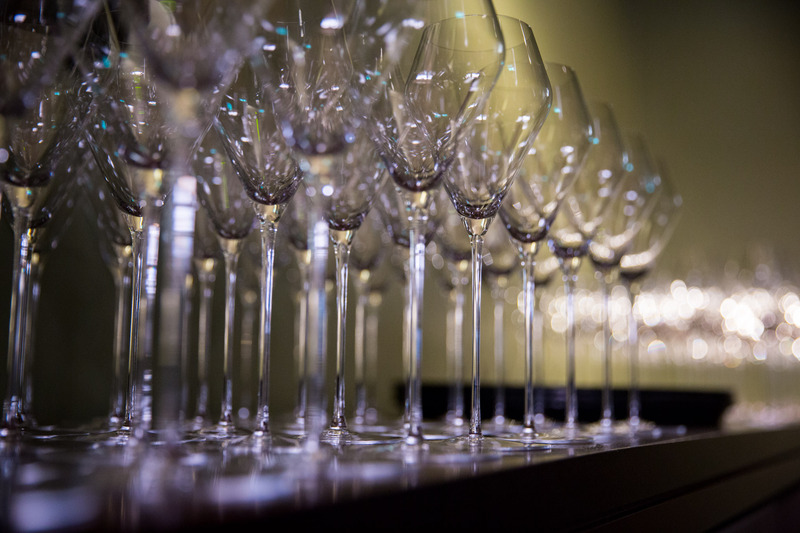 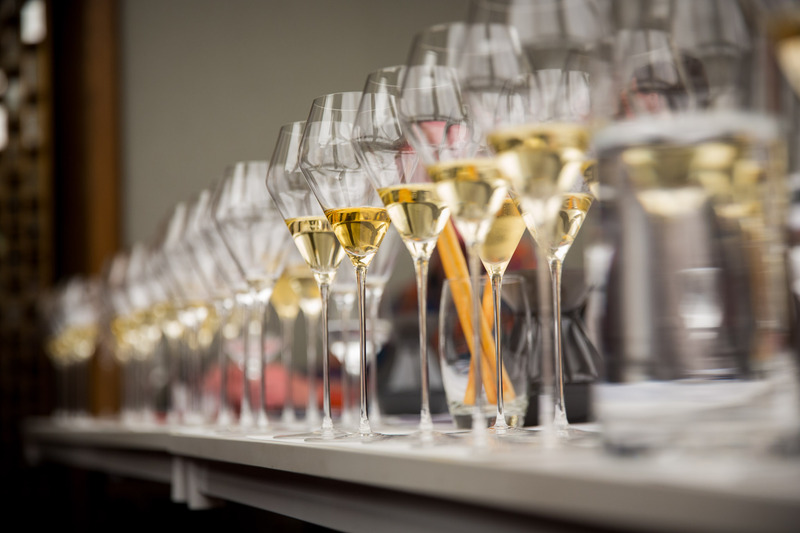 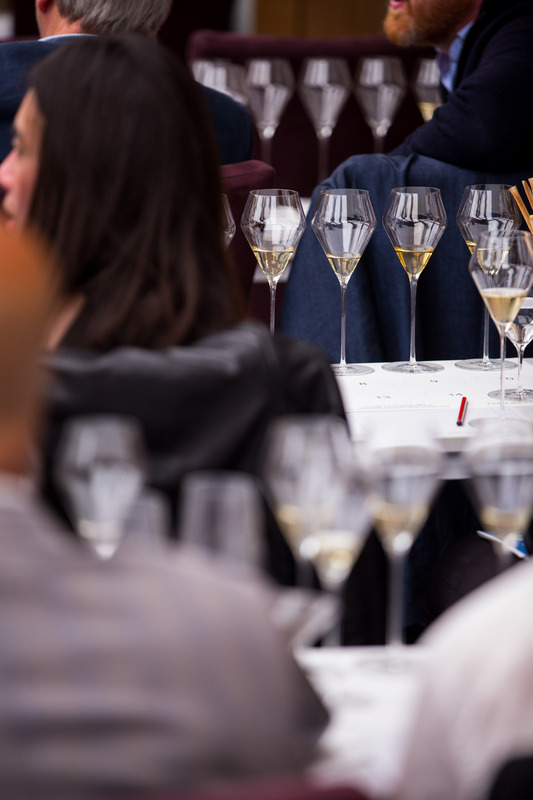 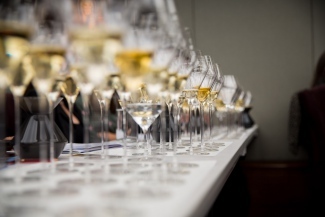 We were excited about this tasting event, lining up all the best known 2002 prestige cuvee champagnes and tasting them blind should be quite some experience. 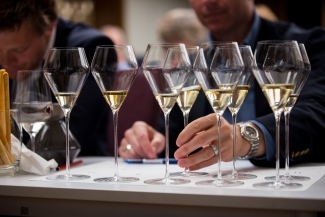 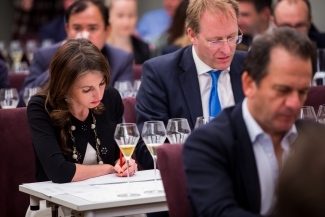 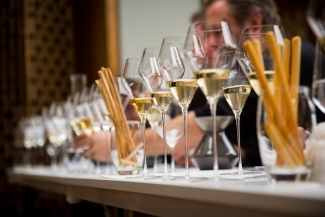 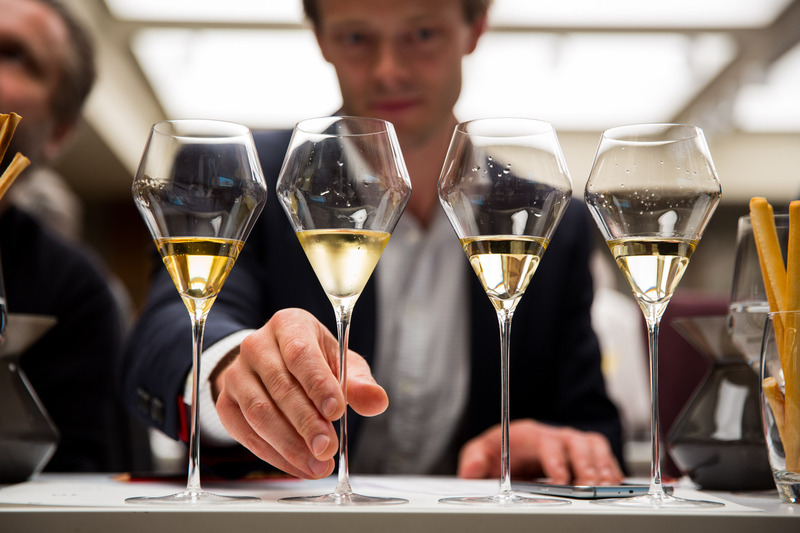 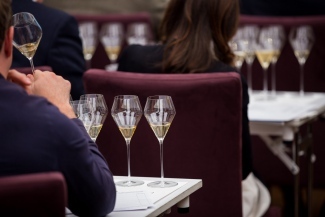 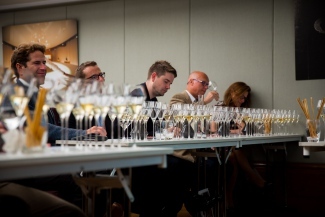 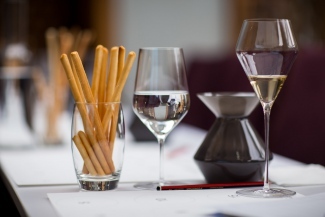 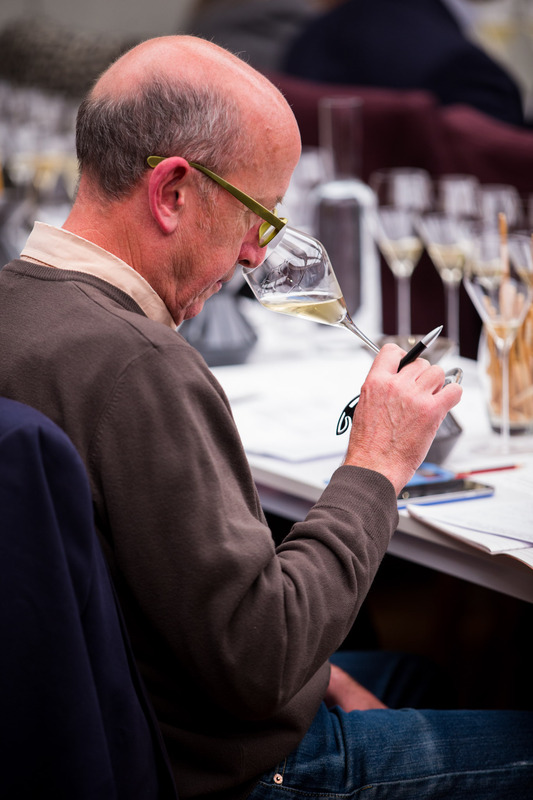 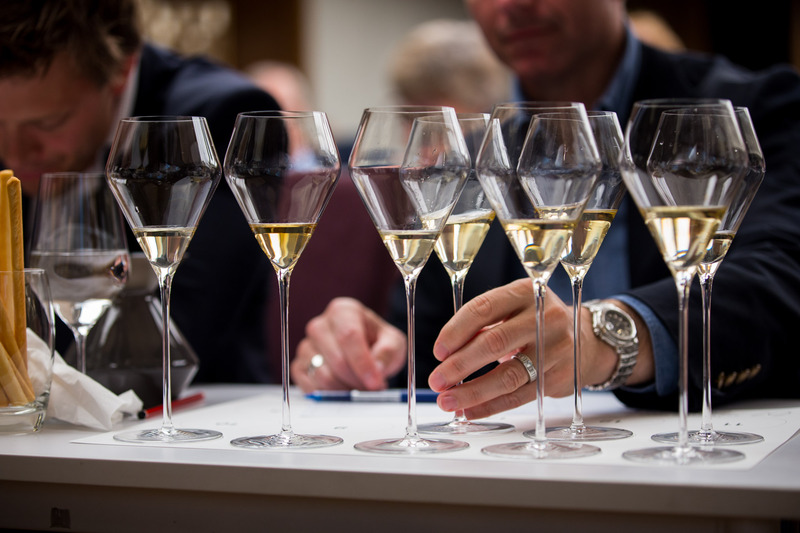 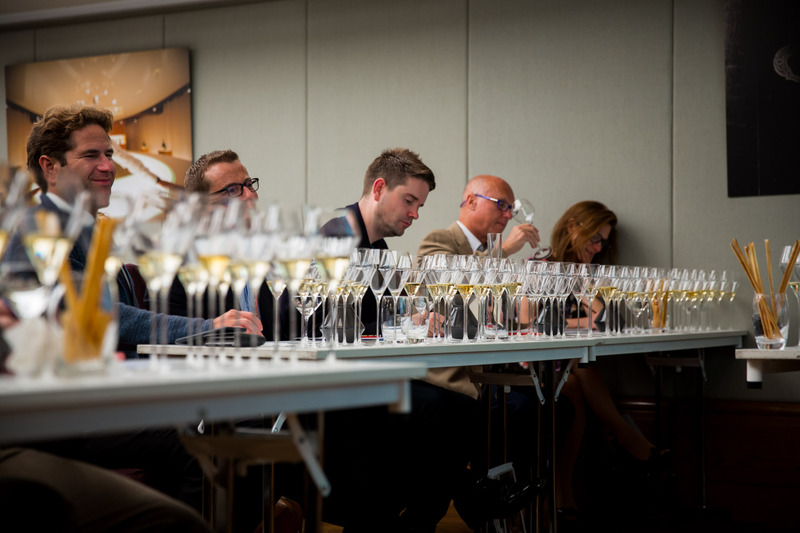 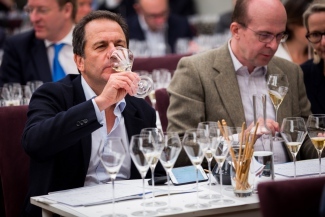 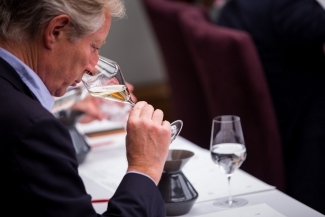 I am lucky with this job to be able to taste many champagnes and most of the champagnes in the tasting I have tasted many times; so theoretically I should have some advantage in being able to recognise those identifiers that you see in most of the bigger brands. 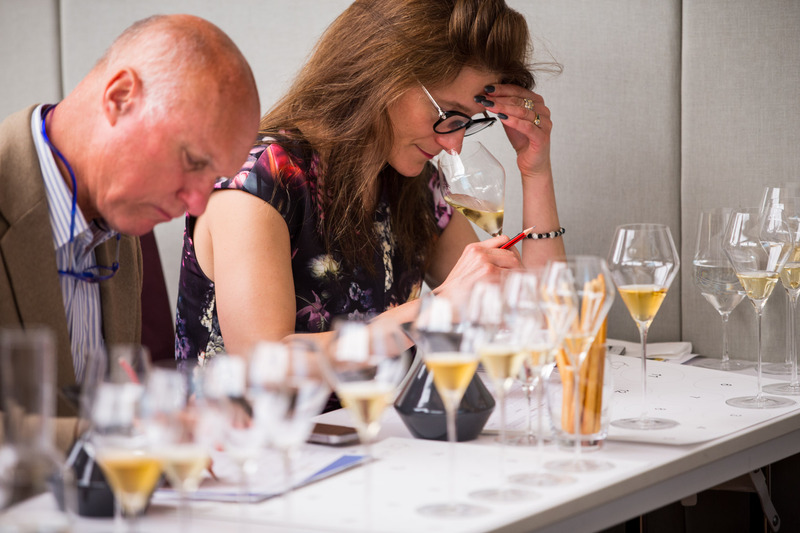 Just two of the champagnes of the fifteen I hadn’t tasted, the Selosse 2002, a blanc de blancs champagne and the rarest of all the champagnes since just 36 bottles were allocated to the UK agent. 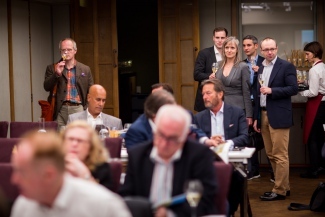 We had managed to buy 9 of these, the three bottles at the tasting came from the agent and the other 6 bottles from a private investor; seems a bit crazy we had 25% of the UK allocation! The other champagne I hadn’t tasted was the Lanson Cuvee Noble, since it hasn’t yet been released in the UK. 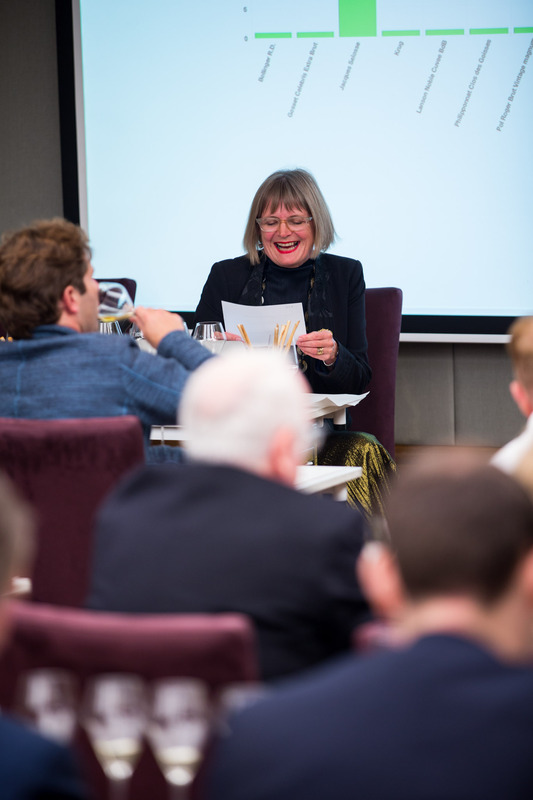 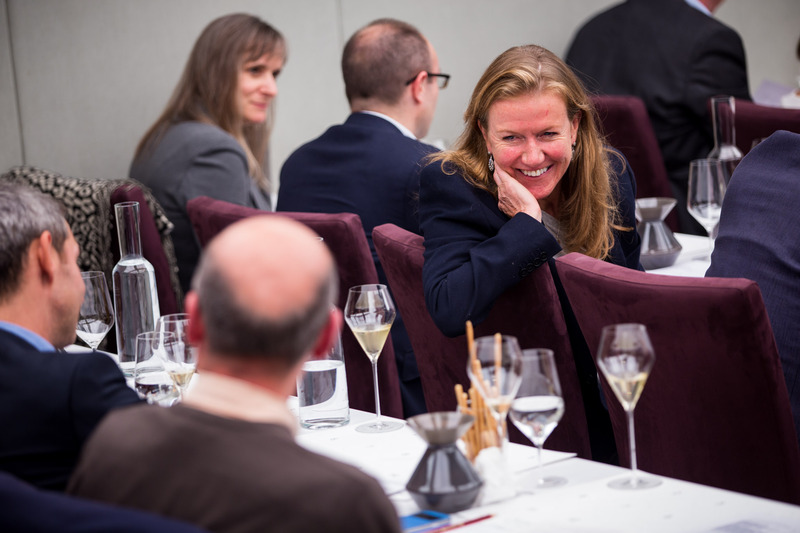 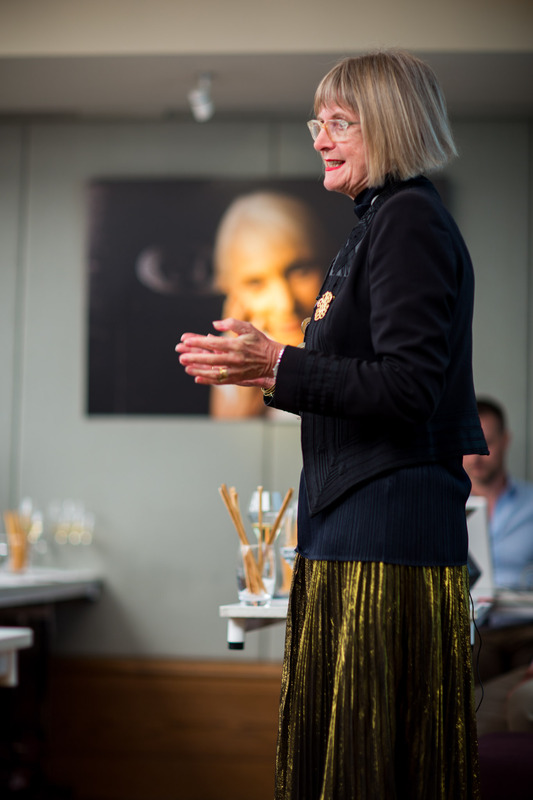 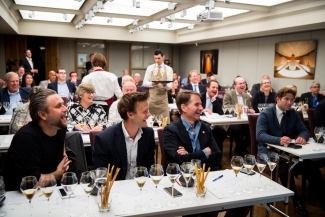 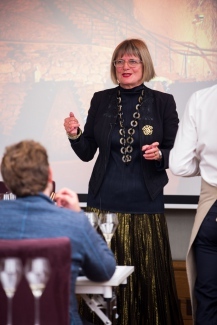 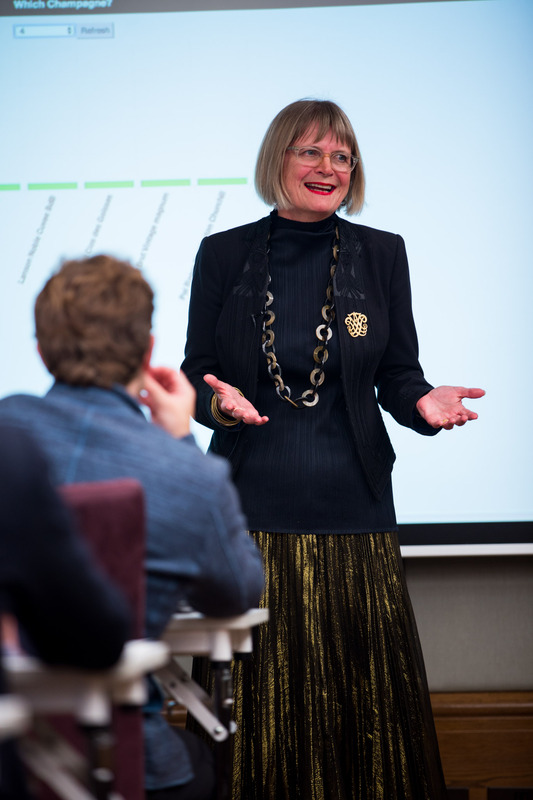 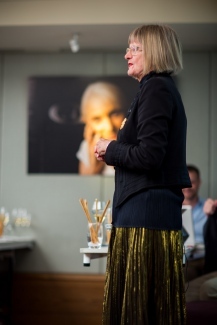 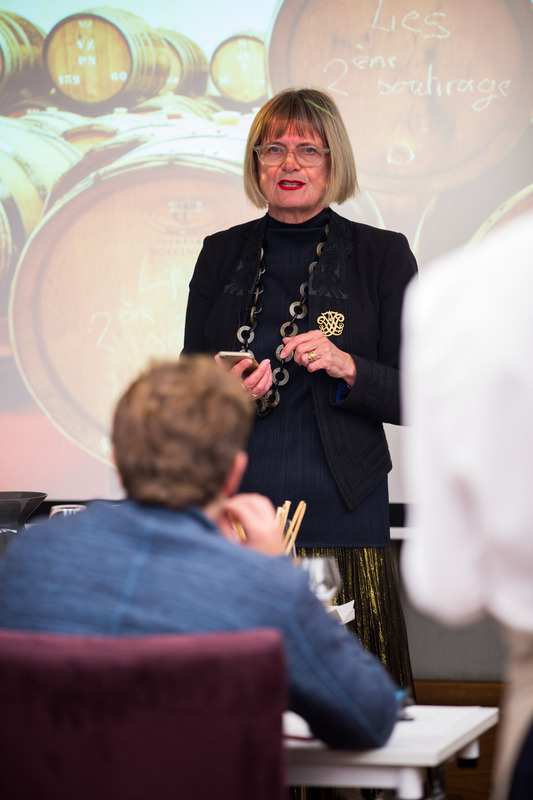 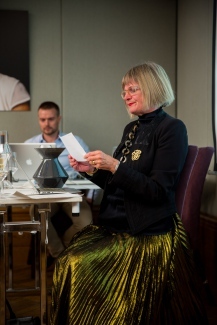 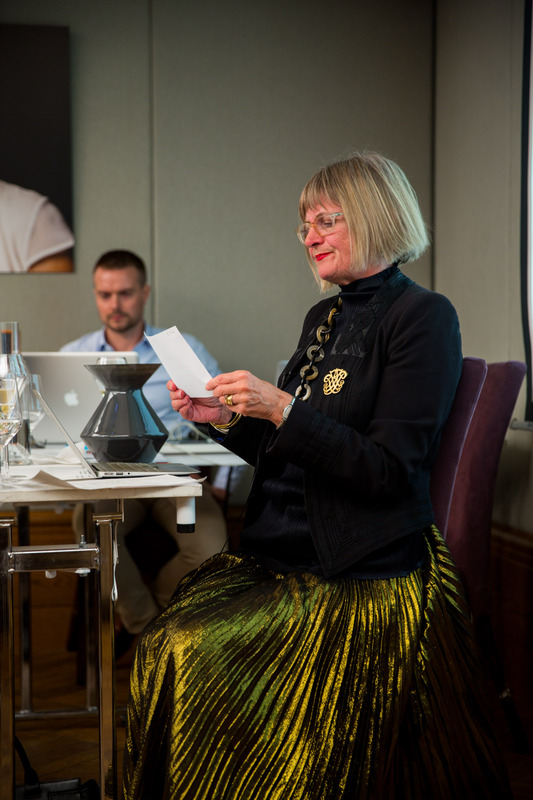 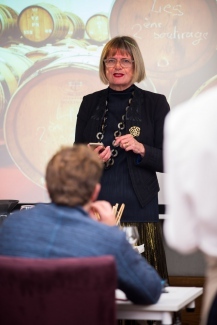 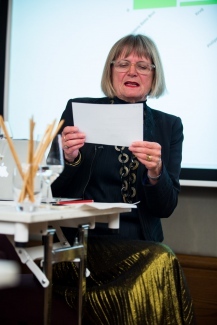 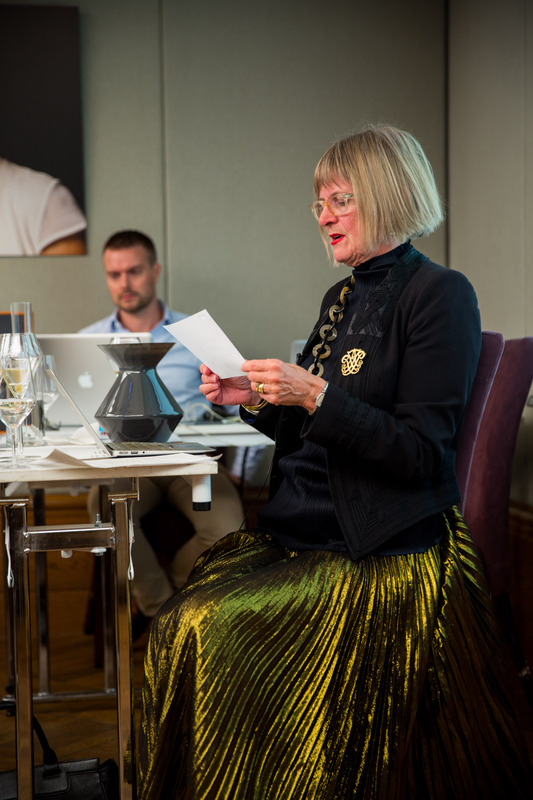 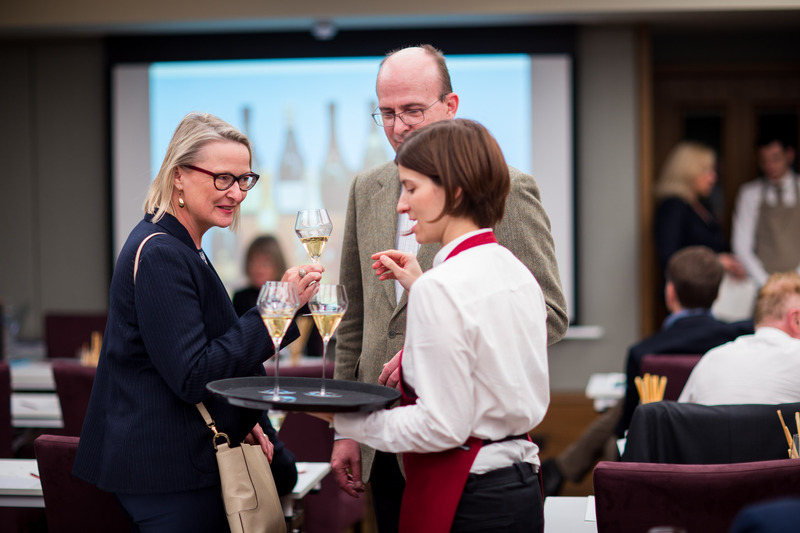 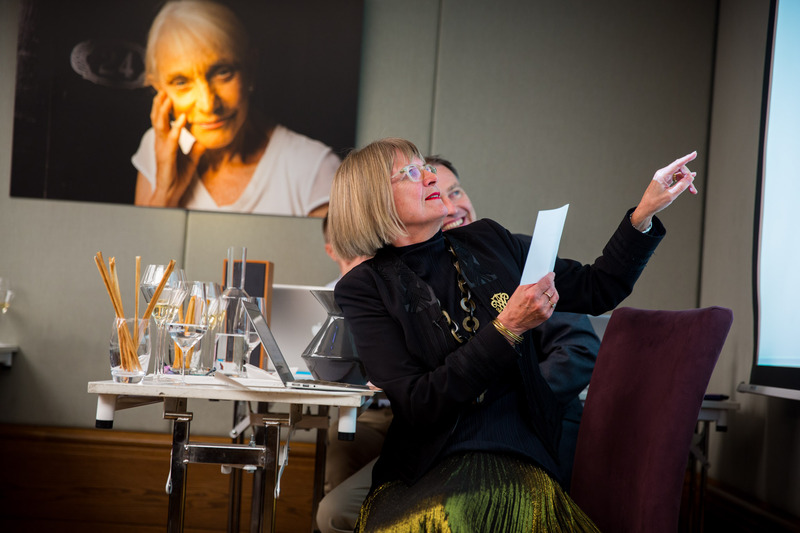 The format of the tasting was to taste everything blind in pairs and Jancis share her thoughts on each pair and give us a steer as to what champagnes she thought they were! 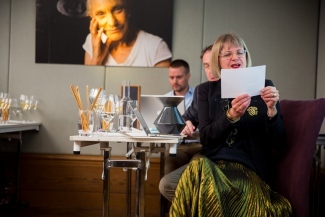 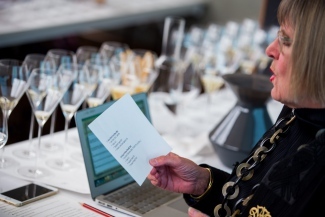 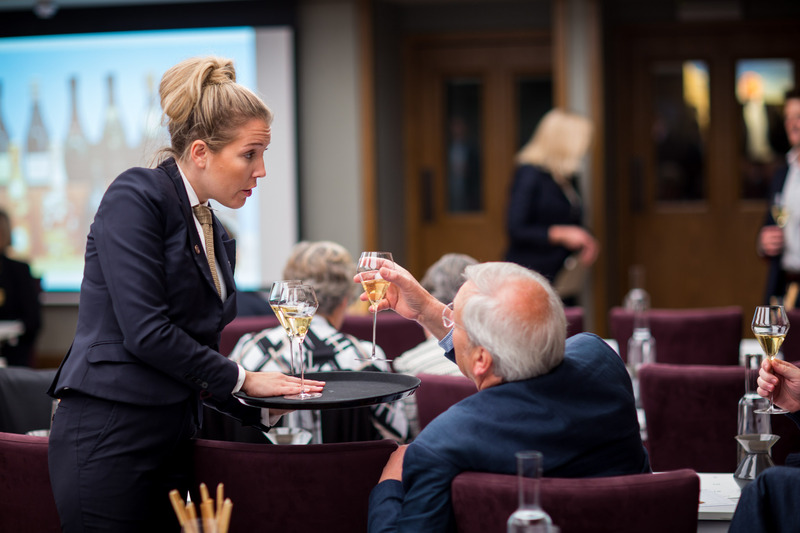 Not for the fainthearted, I am glad she is willing to take part in the way we do these tastings; encouraging everyone to give it a go, we do live voting; so scoring the champagnes and guessing what you think it is. 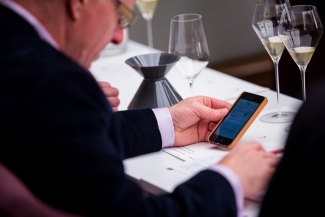 We had just over 50 attendees at the tasting and 34 were voting on their smart-phones so we had a good sample. 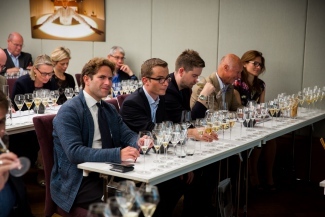 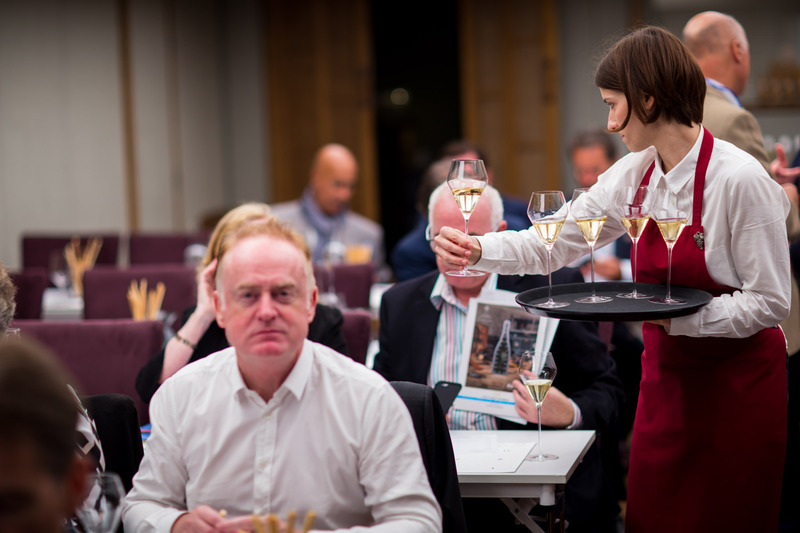 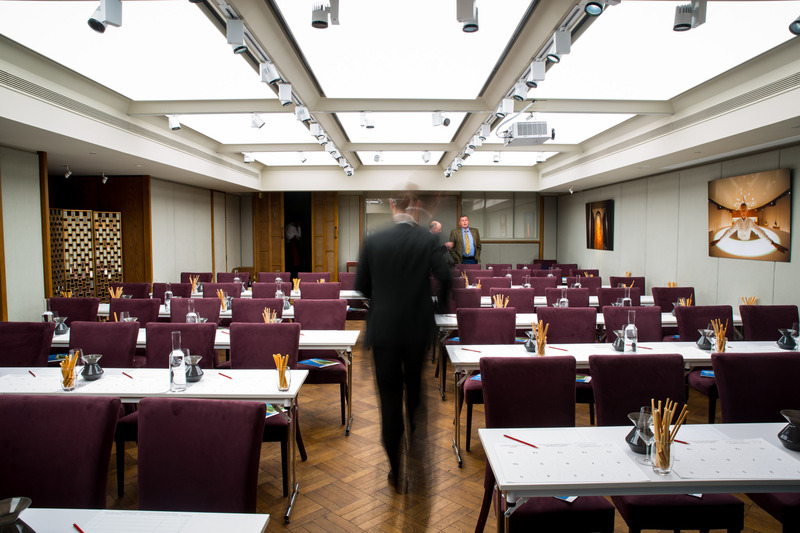 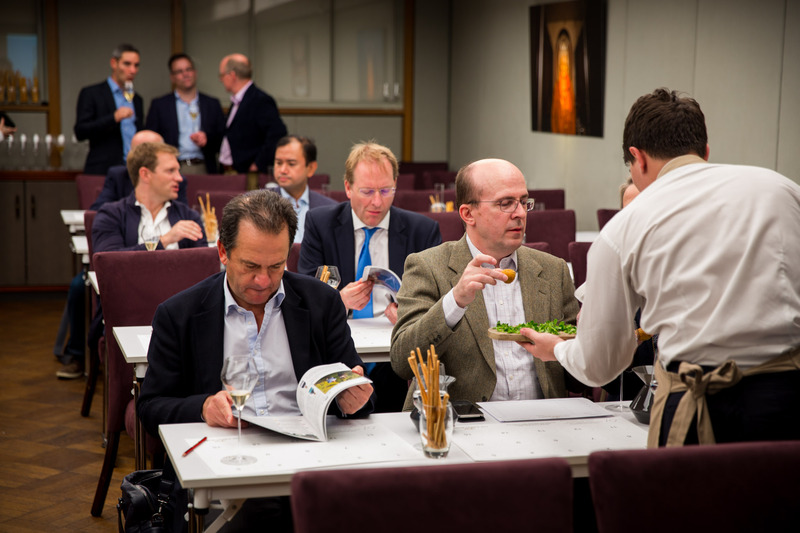 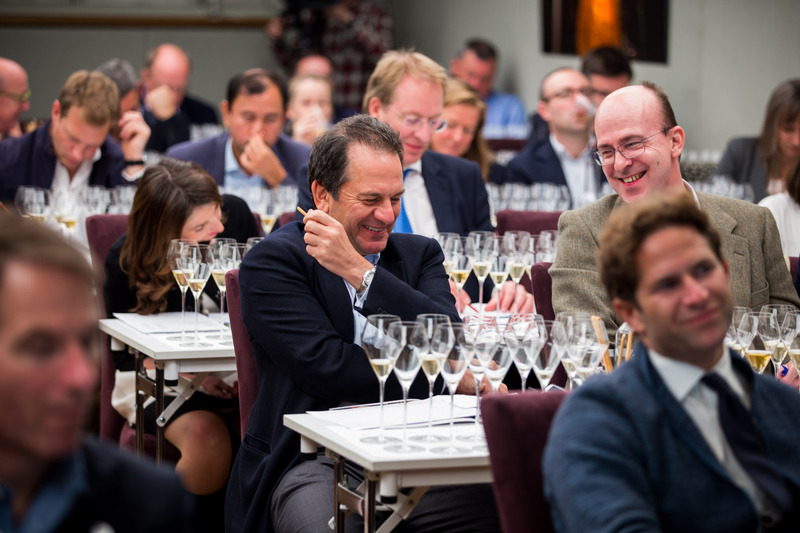 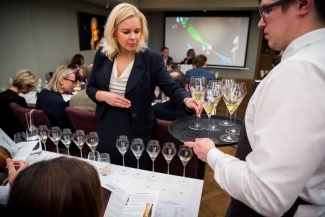 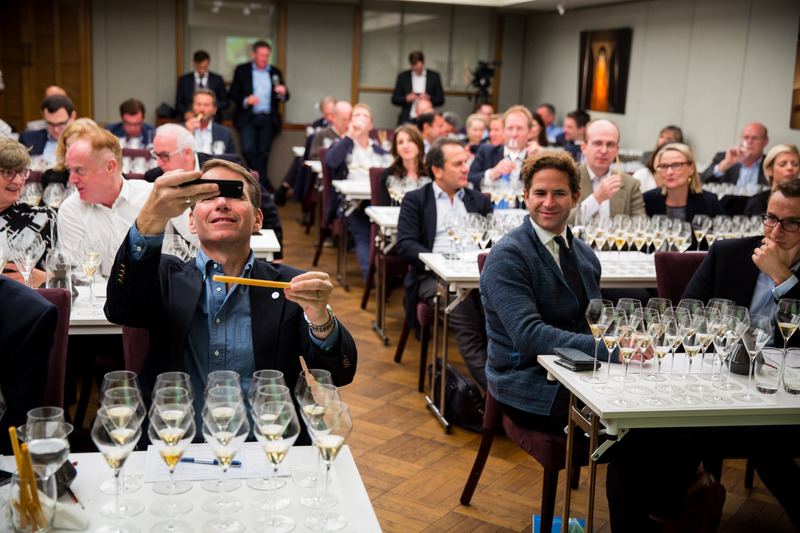 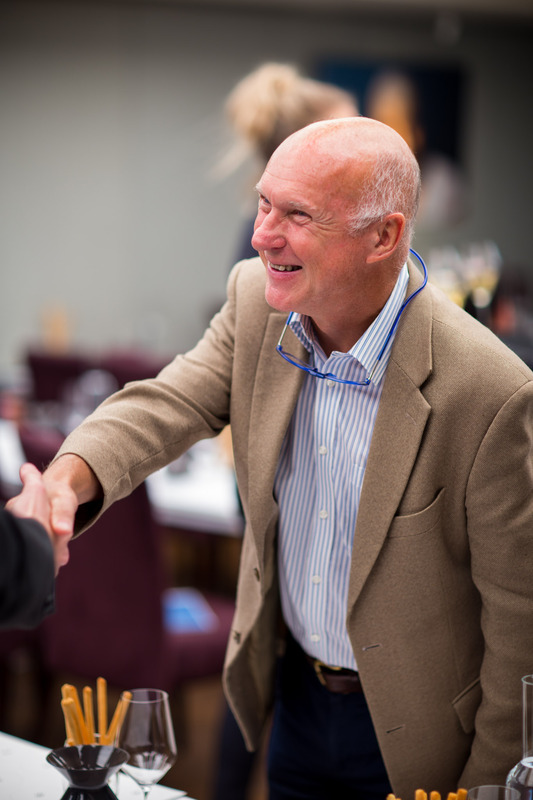 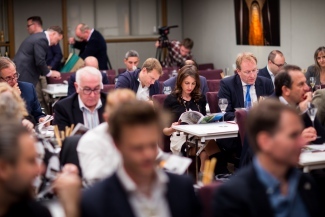 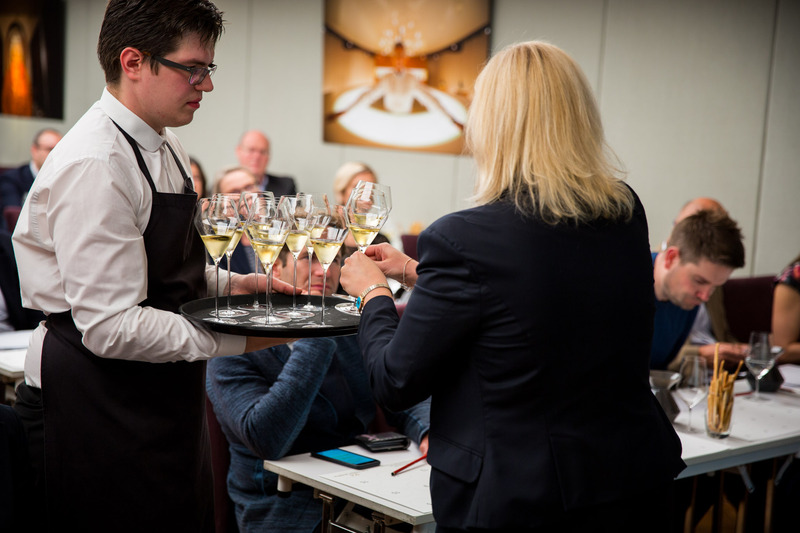 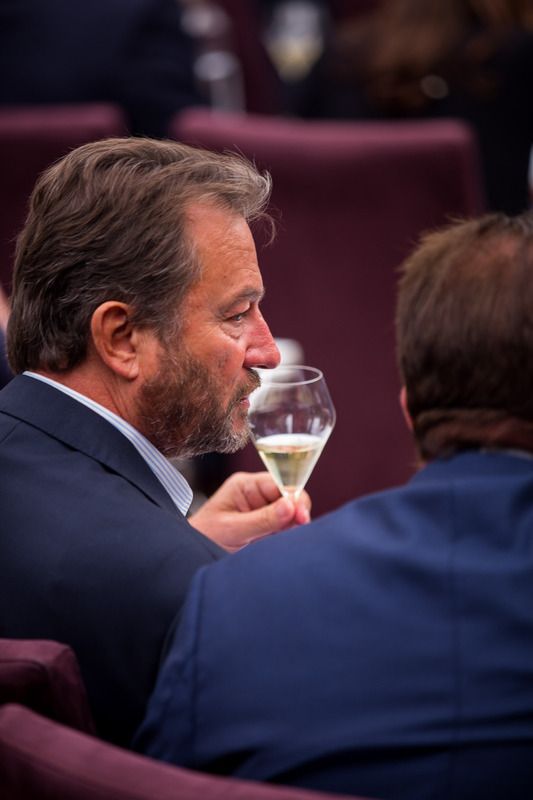 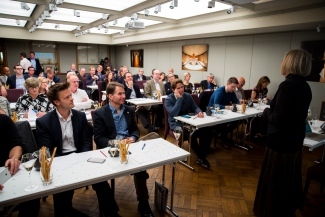 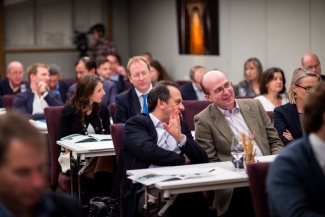 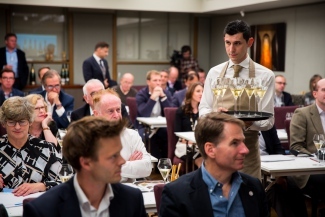 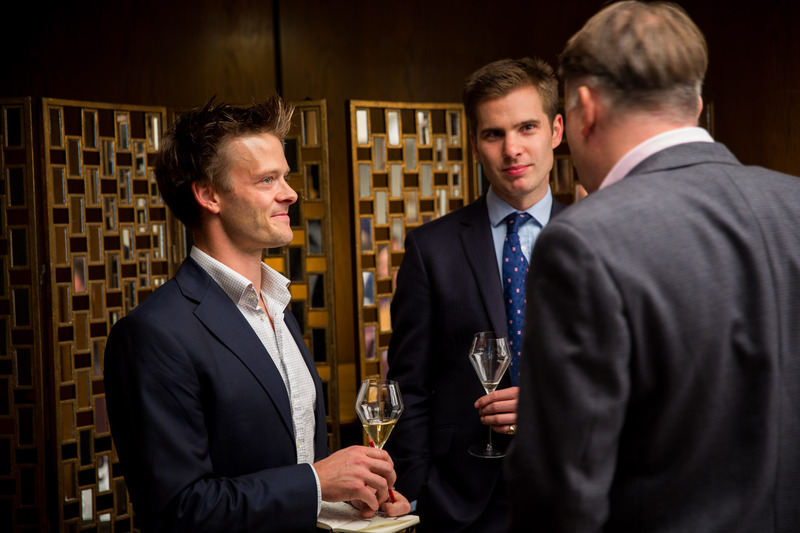 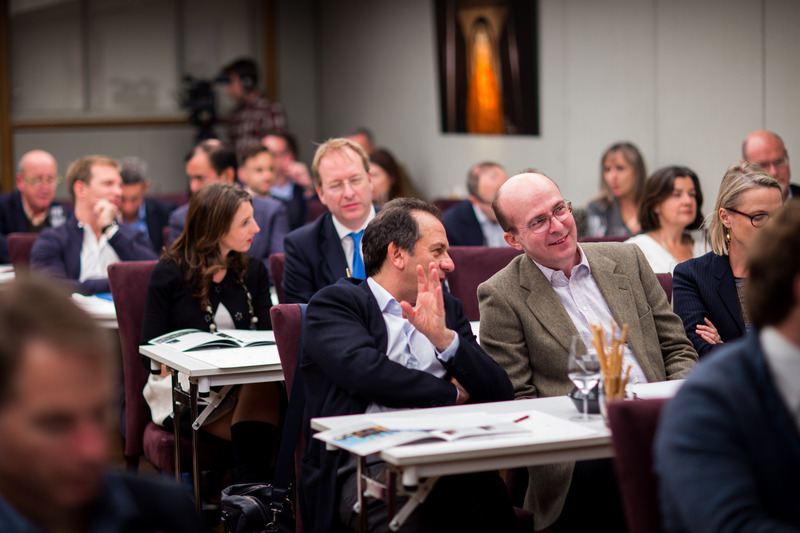 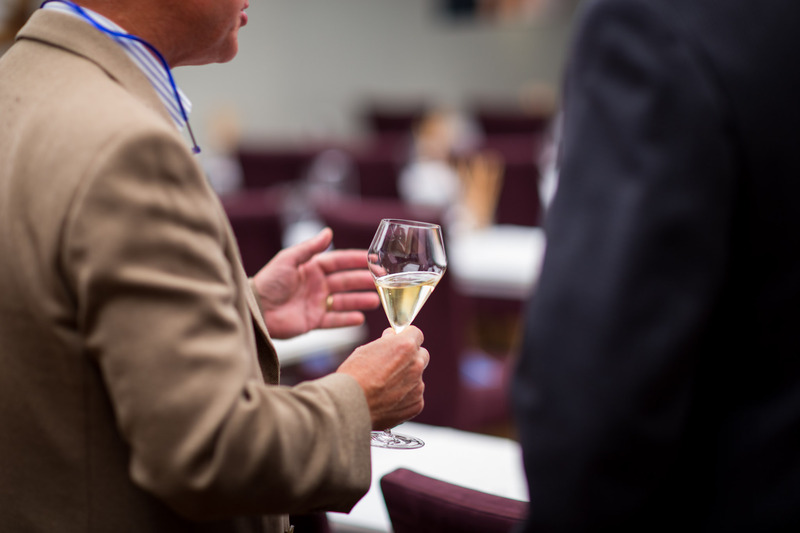 The mix of attendees was varied, from press, trade and very qualified amateurs to the champagne lovers. 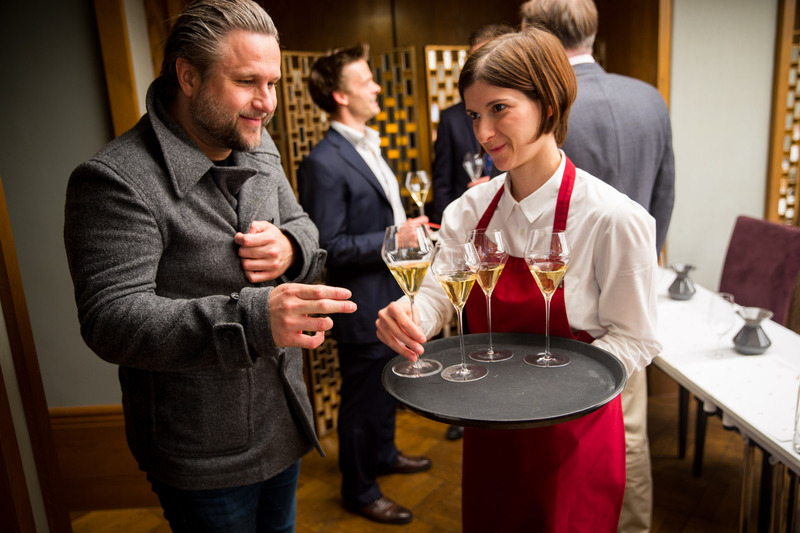 As we started the first pair of champagnes I shared the only clue I knew; I had asked for the blanc de blancs to be served first, some six of the fifteen. 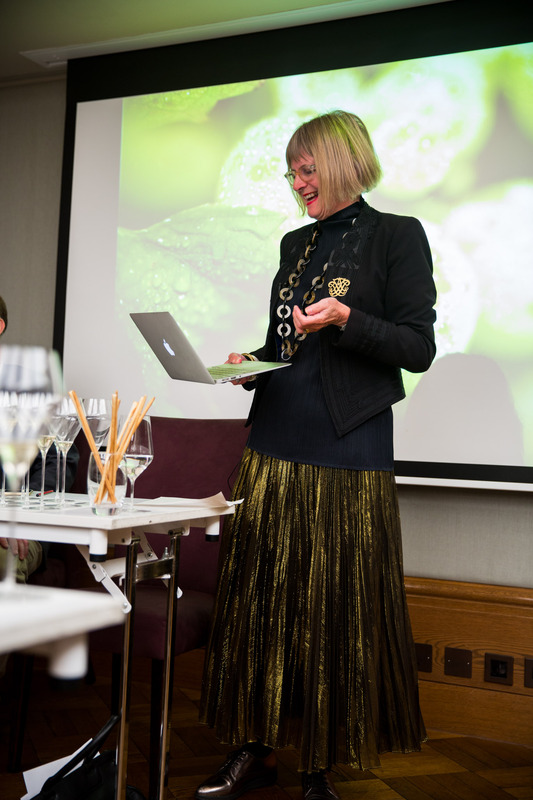 We tasted the first pair and Jancis shared her thoughts; a difficult task, since we only knew they were likely blanc de blancs. The live voting showed a leader, clear margin with most going for Philipponnat Clos des Goisses and just six people guessing correctly; it turned out to be Perrier-Jouet Belle Epoque Blanc de Blancs. 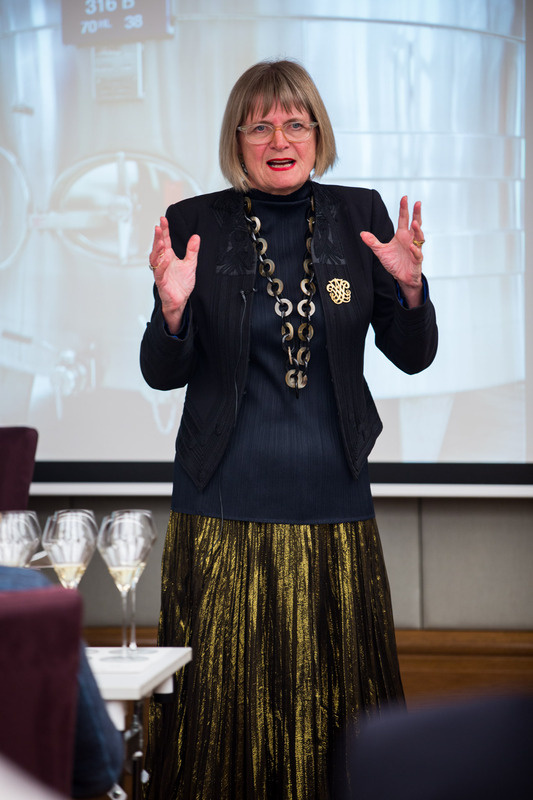 The second champagne turned out to be Dom Ruinart Blanc de Blancs and just six got this correct with most thinking it was Pommery Cuvee Louise! 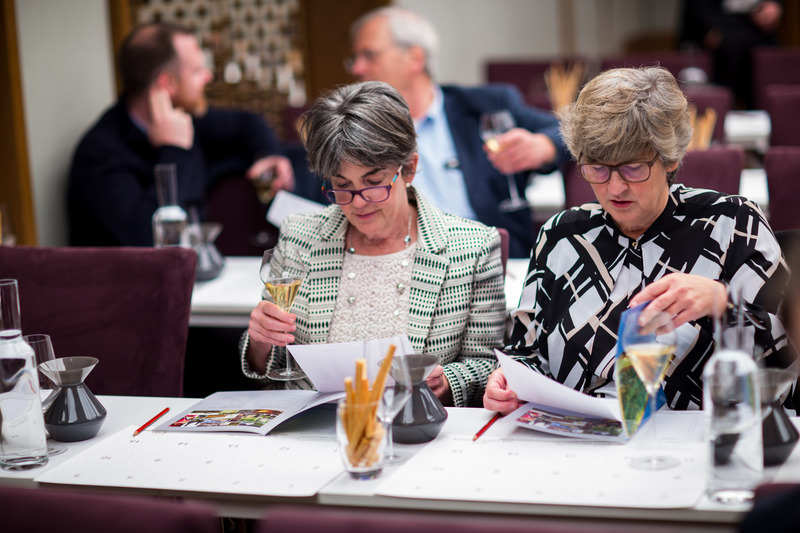 Jancis and I were not off to a good start, we had both got them wrong, so much for spotting house identifiers; though Jancis would have got one right, but for her last minute change of mind! 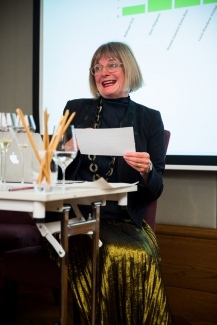 The second pair of wines was a real contrast; Jancis’s was like a hawk and she swooped in quick and nailed these two. The audience were all over the place with champagne three voting, split across many possible, though there was a slight lead for Taittinger, more of us were spotting those house identifiers! 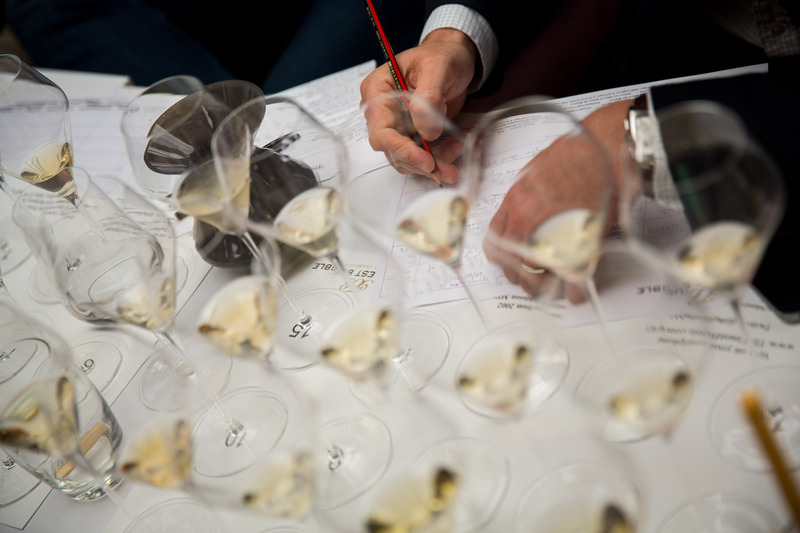 The voting on the fourth champagne had a clear lead and again many people guessed it correctly as Selosse. 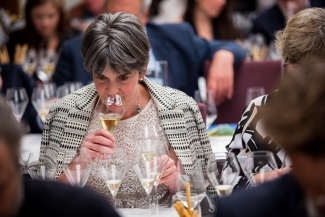 This was showing very lean and with that odd hollowness in the middle when you taste it I wondered if this was slightly corked, none of that give away smell, but it was like stripped of fruit. Had very candied lemon fruits and no great length and prominent acidity. 15.5/20 – This was my lowest score and when it was disclosed I tasted a few examples round the room and most of them seemed similar. Bizarre, because I had tasted this champagne earlier in the day at a lunch event and it was glorious, lots of fruit and a pleasure. It seemed like the bottles we had at the tasting were mostly showing badly. 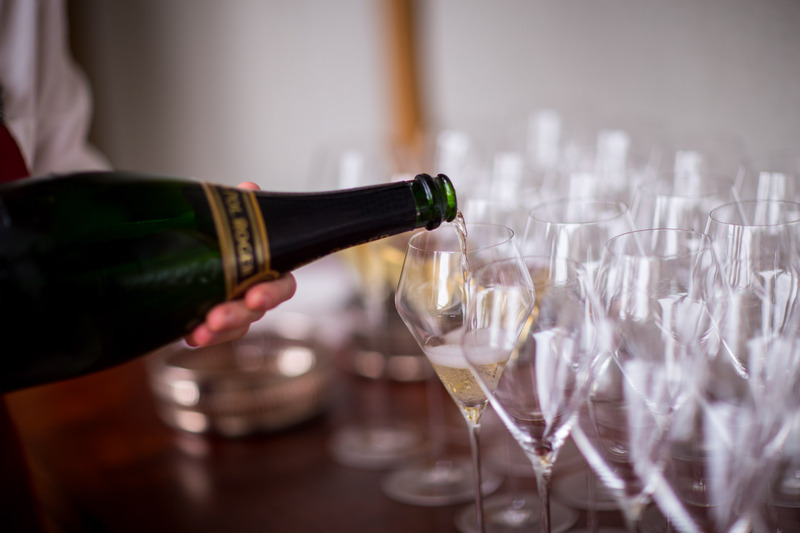 This seems to be what is called bottle variation, not something we see too often, but it just goes to show; this champagne had perfect provenance, we have owned it since release by its UK agent, its been in perfect storage, but it was very different to the champagne I had had at lunchtime some 8 hours earlier. By this time we had narrowed down the field and got rid of the blanc de blancs, so maybe it has got easier; indeed I think the opposite as now we had eight champagnes left! 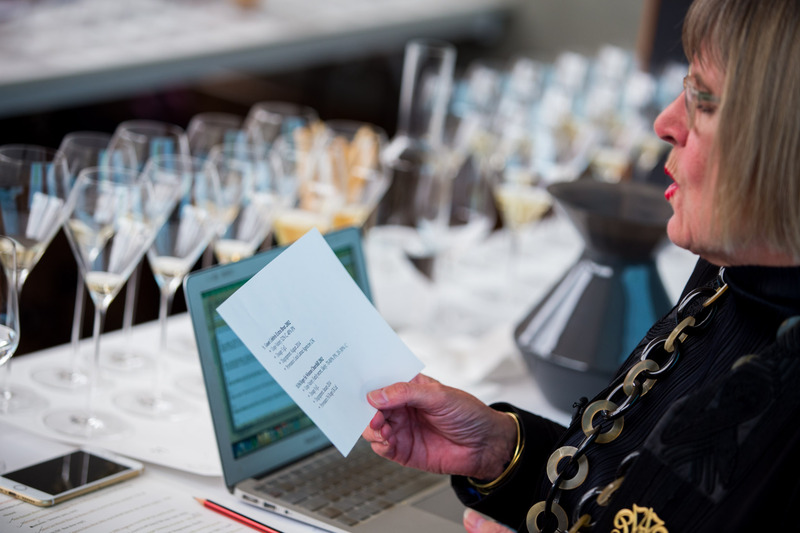 The voting on champagne 7 was all over the place and a pattern started if people didn’t know what the champagne was go for Cuvee Louise! 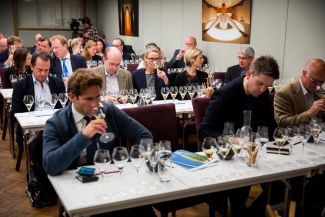 It turned out to be one I know very well and it was showing very well and champagne eight, my example that you don’t always have to pay prestige cuvee price to get the same quality performed exceedingly well and came 4th overall. The votes on champagne nine were mainly for Philipponnat, but that turned out wrong and champagne 10 many were convinced it was Cuvee Louise. 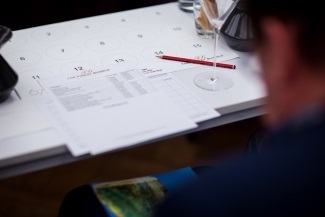 Some of the trends early one where quite a few of us were guessing correctly had all gone out the window, this was definitely getting harder as we had less to guess from. 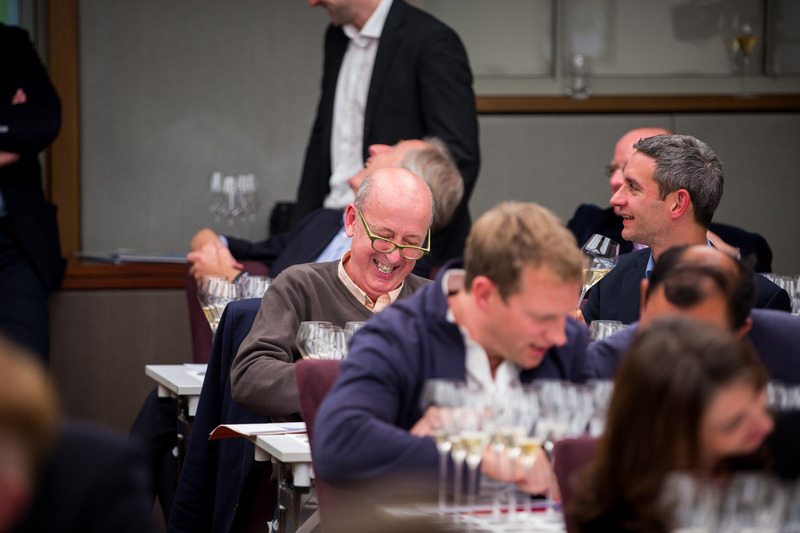 The voting for eleven was split between Bollinger and Philipponnat, and this time the majority were right! 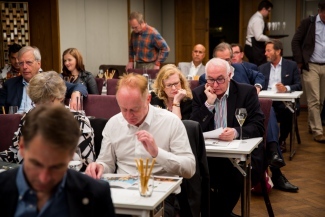 Interestingly champagne 12 had everyone all over the place, many again on Louise and there was just one right guess; my real only banker of the tasting! 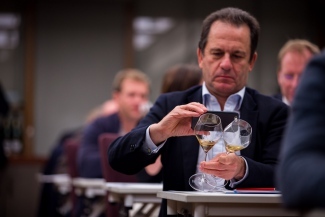 More oxidative style with lots of brown apple character and hints of raisons and dried fruits but with some real delicate floral notes, especially after going back tasting later. 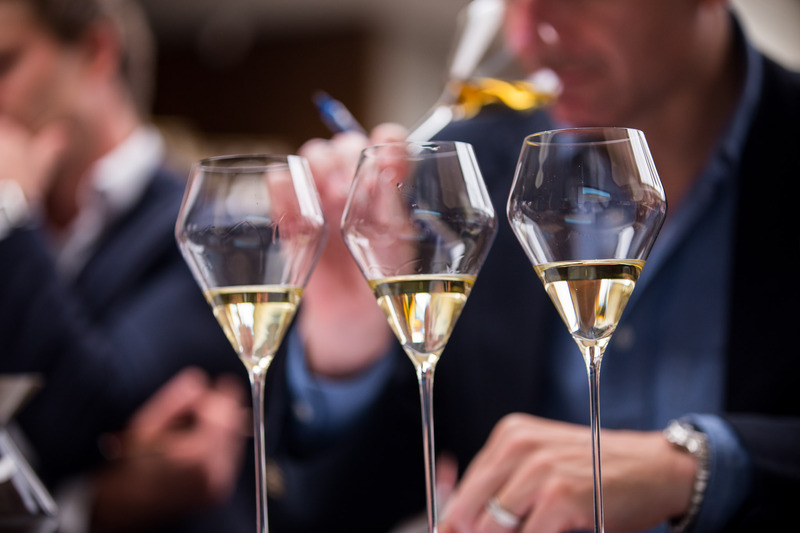 Good acidity, lingering and distinct sweetness on the finish. 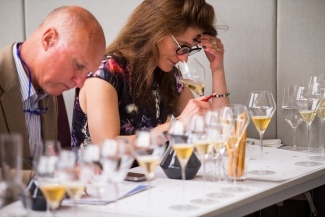 You would think with just three champagnes left this would be easy; but not it wasn’t, Cristal was left in the last three and should be easy to find, Bollinger also with its benchmark dried fruits and oak surely easy. 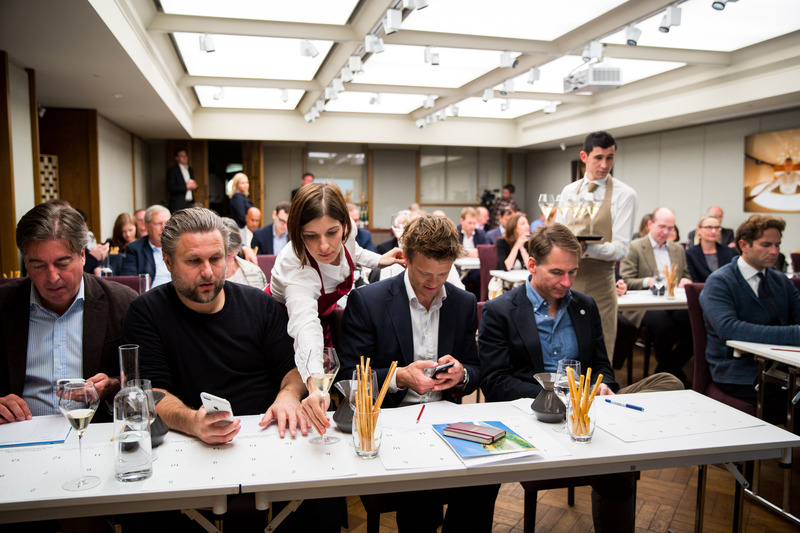 Actually not easy, Pommery Cuvee Louise, which was many people’s guess when they didn’t know what to guess, was showing really well! 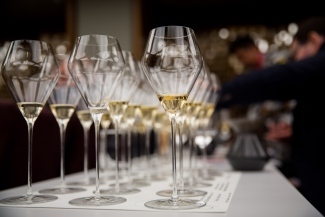 The Bollinger had amazing power and the Cristal was slightly more reserved than I recalled. 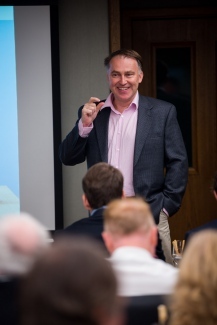 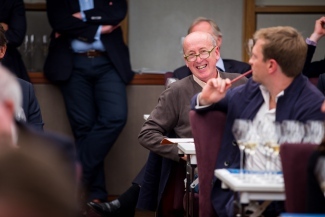 Even the reliable Mark Bingley MW in the room from Champagne Louis Roederer was looking confused and admitted he couldn’t identify the Cristal! 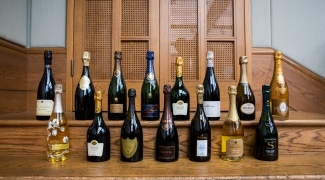 Post tasting I think it may be worth us opening up these prestige cuvee’s really quite some time before drinking, they had all been opened about 18:30 and tested, some not served until 21:00 but some were still very tight on the nose for the first five minutes in the glass. 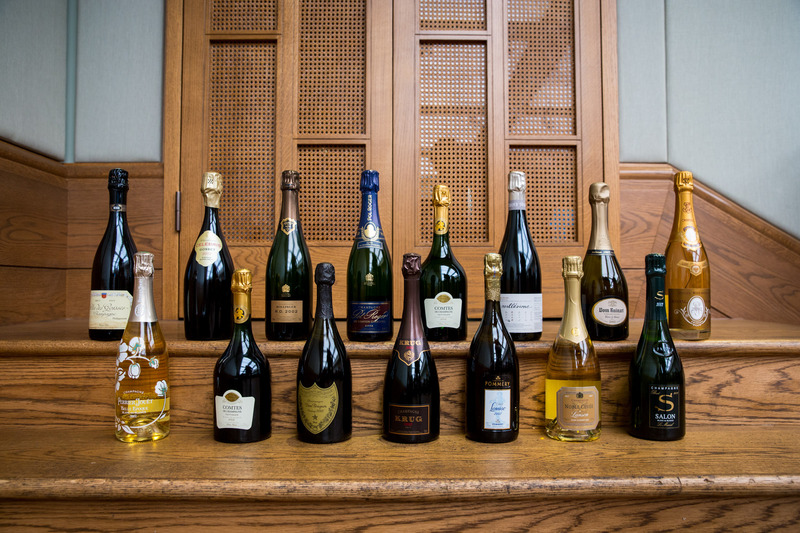 So this was a fascinating tasting; many of those who don’t normally taste blind admitted it opened their eyes up to some of what are sometimes regarded as the lesser names and I think we proved how very hard even for the most qualified it is to identify these great champagnes when they are lined up next to each other. 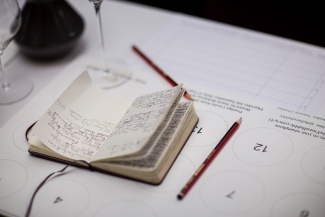 We did learn that nearly all are fantastic, the 2002’s have a long life ahead, their acidity and fruit will ensure they are going to develop and seem fresh for many more years. 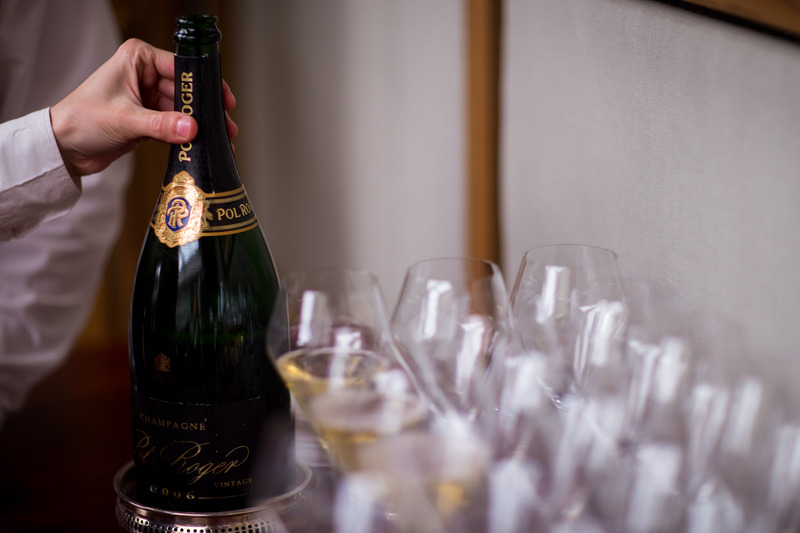 In the end the voting was pretty close, and I think we proved these champagnes from 2002 are all amazing, you can pick the house style you prefer and in our tasting we had more people that liked the power house styles of champagne; Bollinger R.D. and Krug came 1st and 2nd and outstanding for its price was the one non-prestige cuvee which came 4th the Pol Roger 2002 in Magnum. 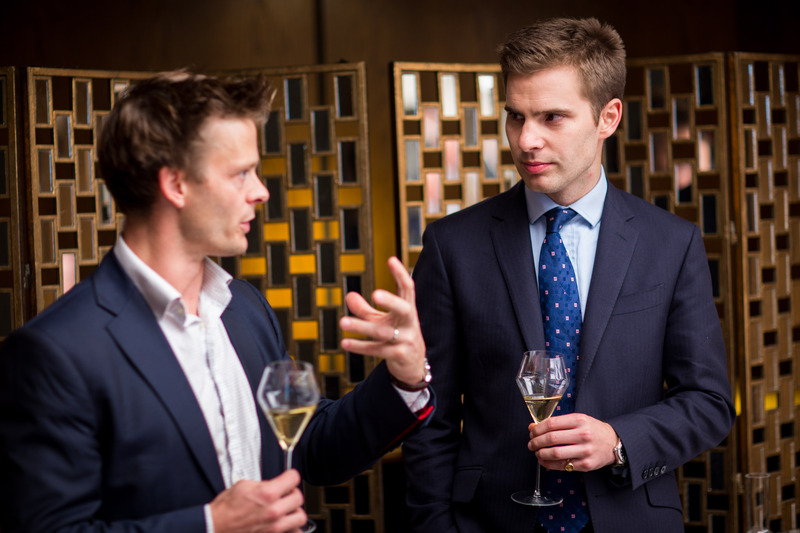 A week after our event I was at the launch event of Louis Roederer Cristal 2009, great venue, on the 35th Floor of the Shard is a new champagne bar with a massive wall of Louis Roederer Cristal making it the largest collection of Cristal in London! 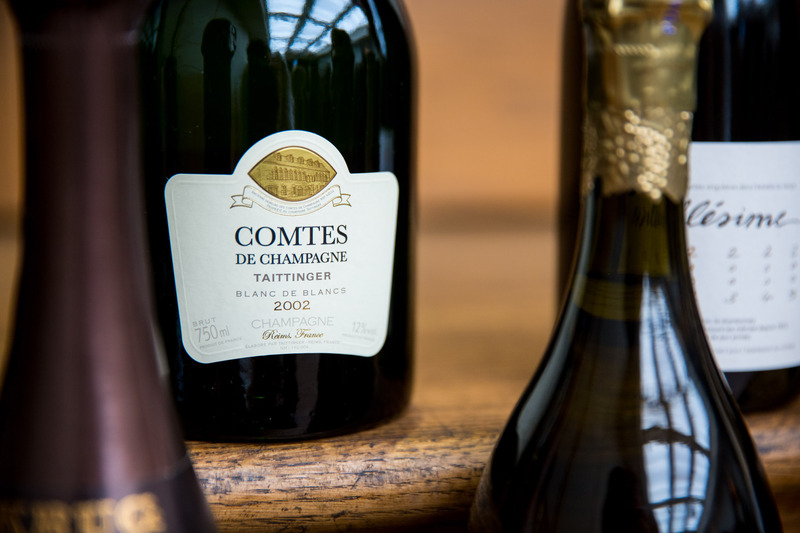 The 2009 was showing incredibly well; for such a youngster, its fruit rich and showy when young. 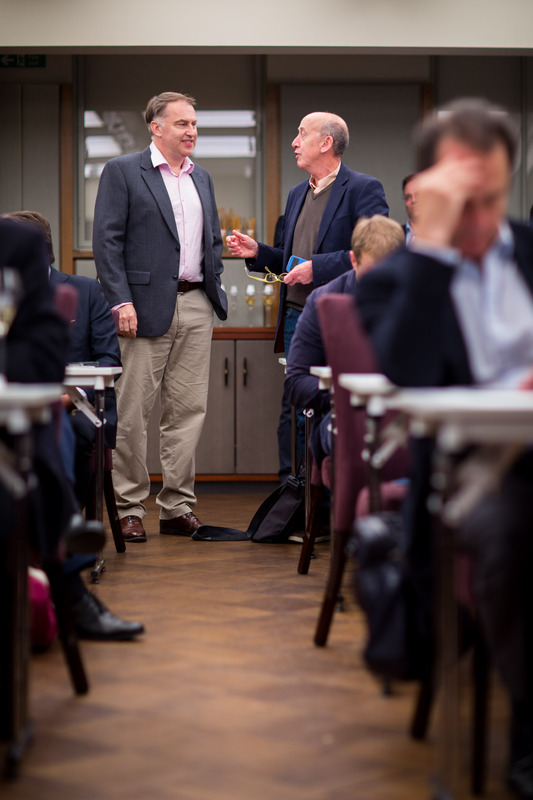 But once the speeches were over we were cornered! 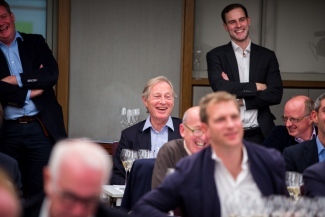 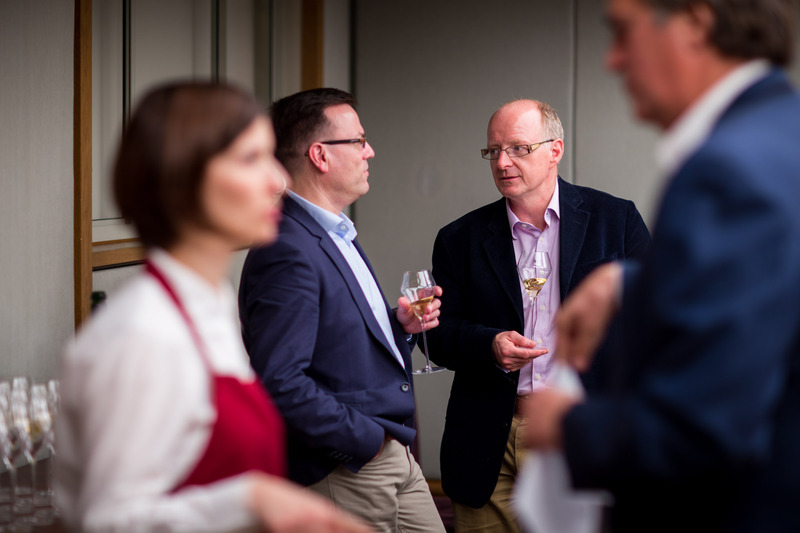 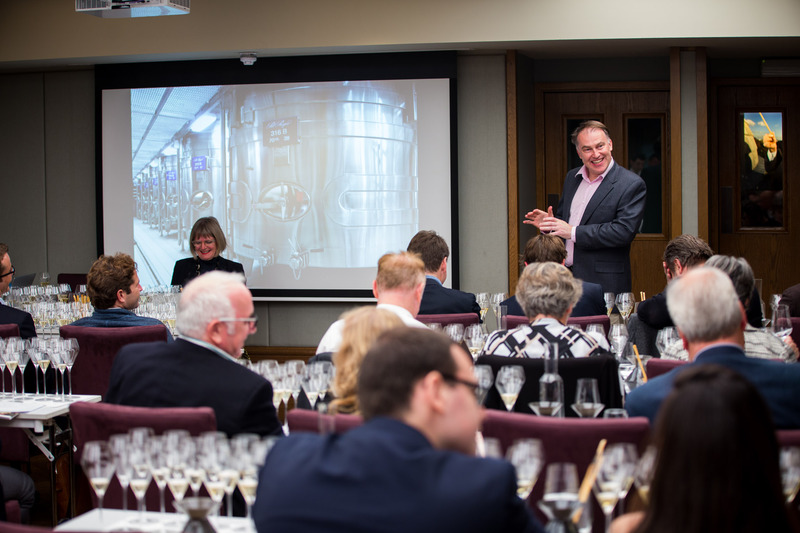 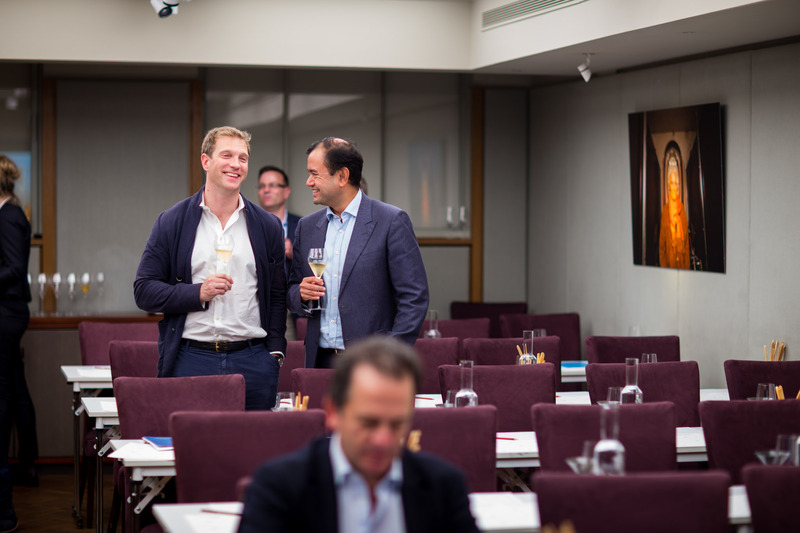 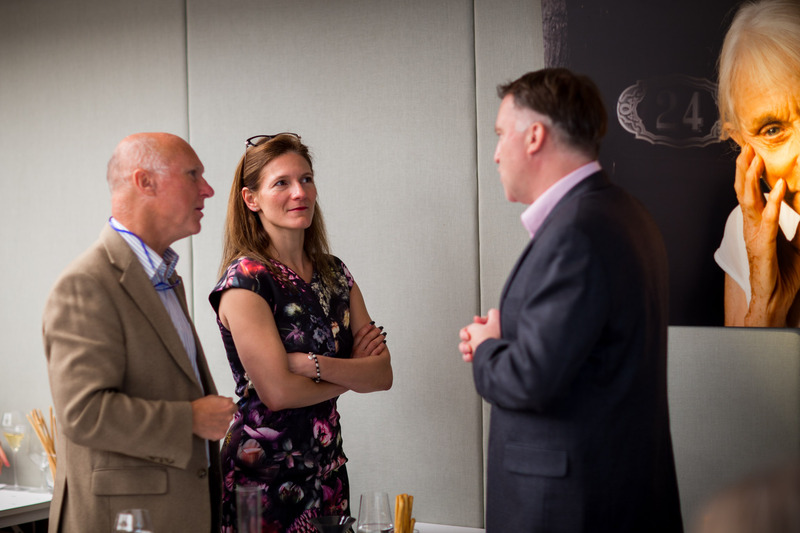 I was chatting to Richard Bampfield MW and Simon Stockton and Jean-Baptiste Lécaillon, the chef de Cave at Louis Roederer wanted a full debrief on the tasting. 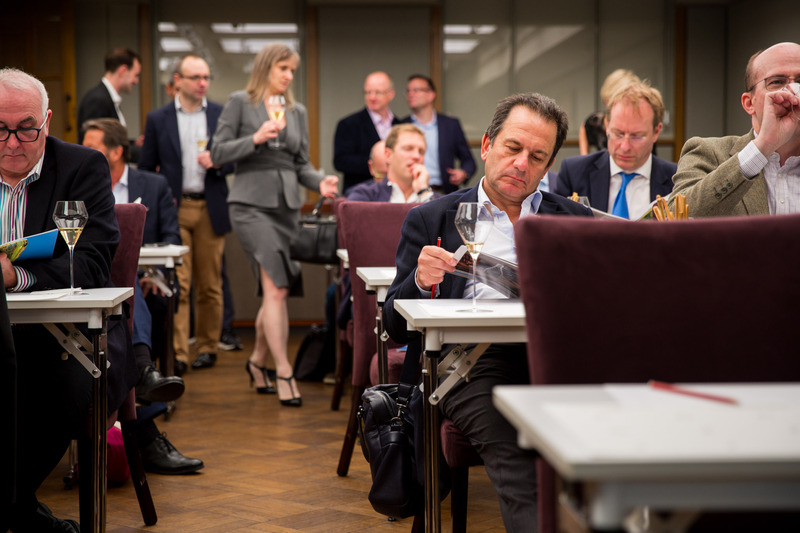 What I didn’t appreciate before this moment was many of the champagne houses are following our big tastings and they love the discussion this generates. 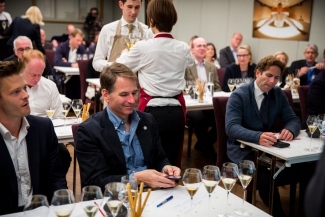 Anyway, Richard and J-B were caught up in a discussion for ages of the merits of the two winners, Krug and Bollinger, you could fairly say the power champagnes and the perhaps more delicate styles as created by Cristal and Salon etc. 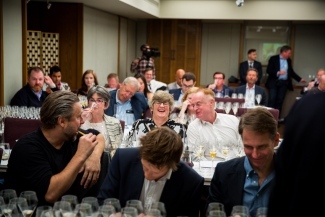 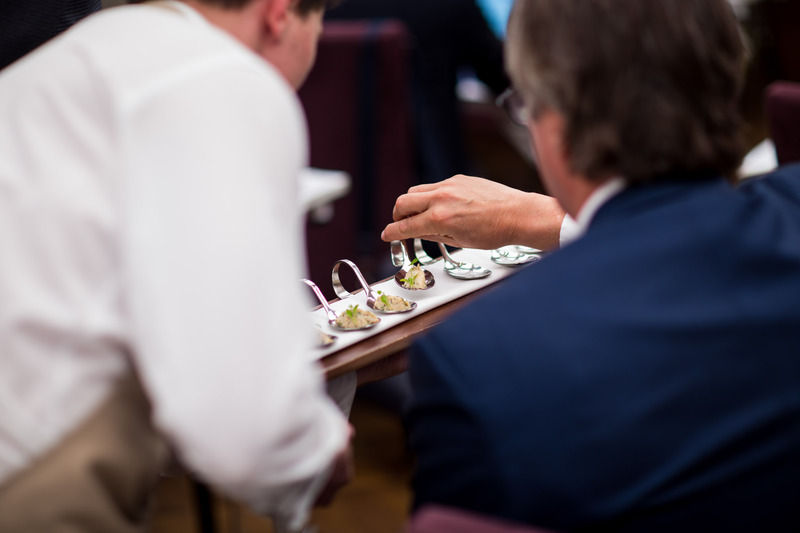 I think it just goes to show we are achieving what I always wanted with these events we have engaged a whole load of people in the trade, in the brand owners, in the owners and their winemakers, in the audience at the events, champagne fans and influencers in the press. 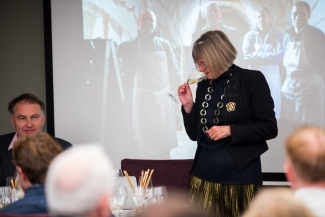 So what shall we do next year for our big champagne experience, I have an idea of looking into oxygen and do you love or hate in when you are making champagne! 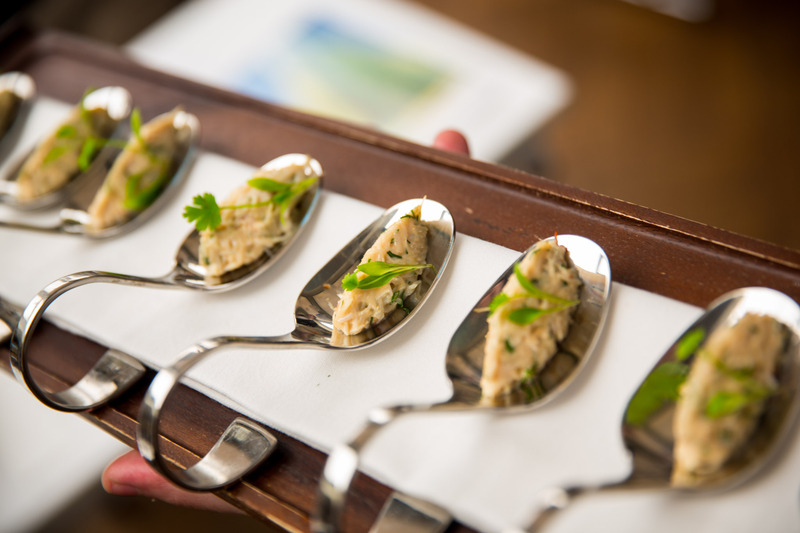 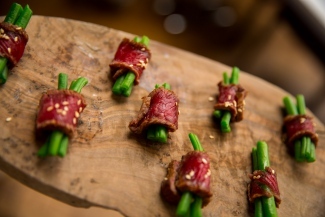 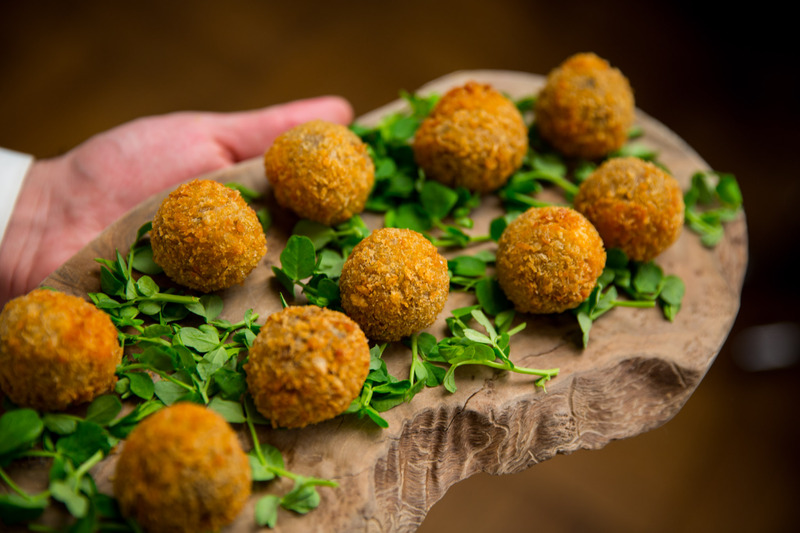 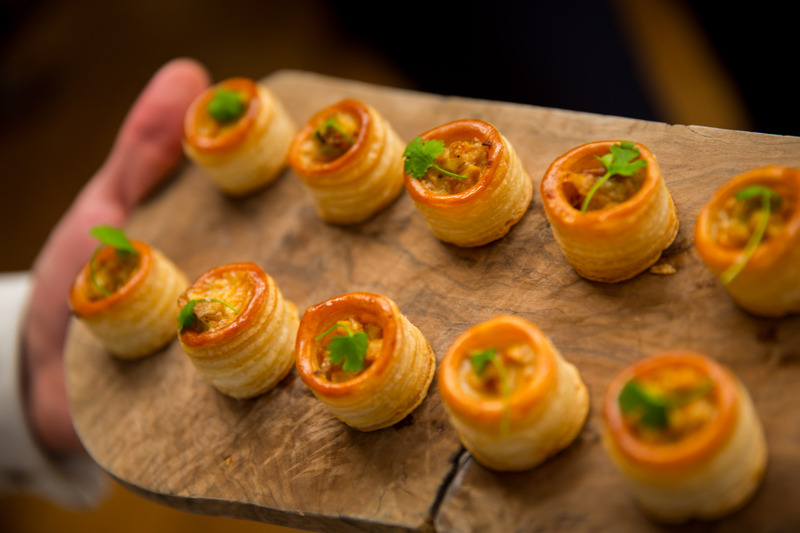 Each chef de cave will typically make a conscious choice of encouraging some degree of oxidation or going reductive and making the wine and champagne while protecting it from oxidation. 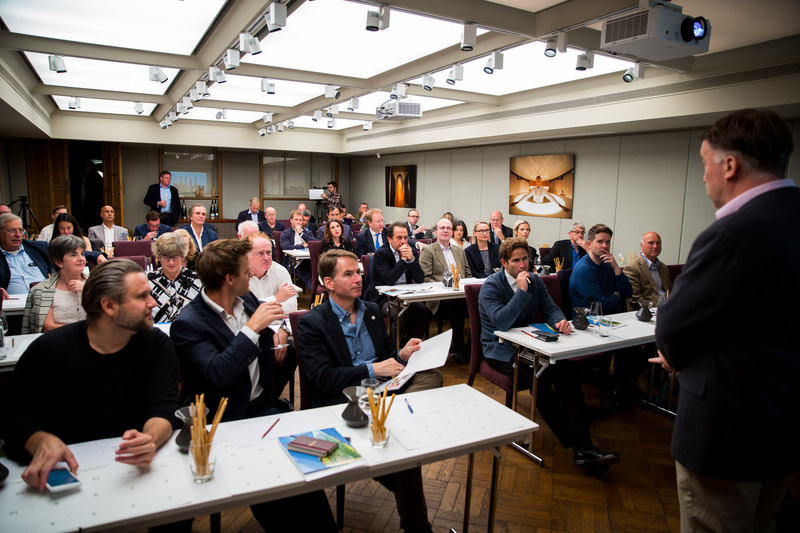 Let’s see if we can make this into an interesting tasting event!